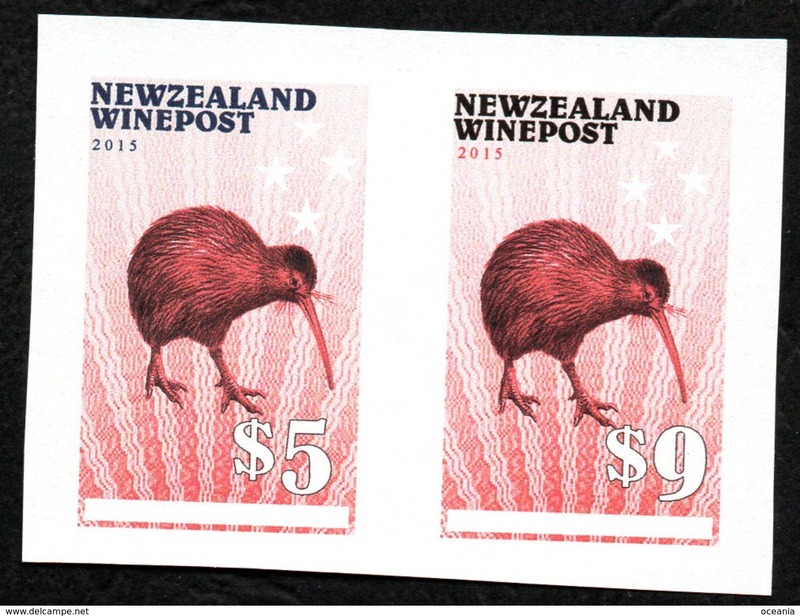 New Zealand Wine Post Red Kiwi's proof pair. 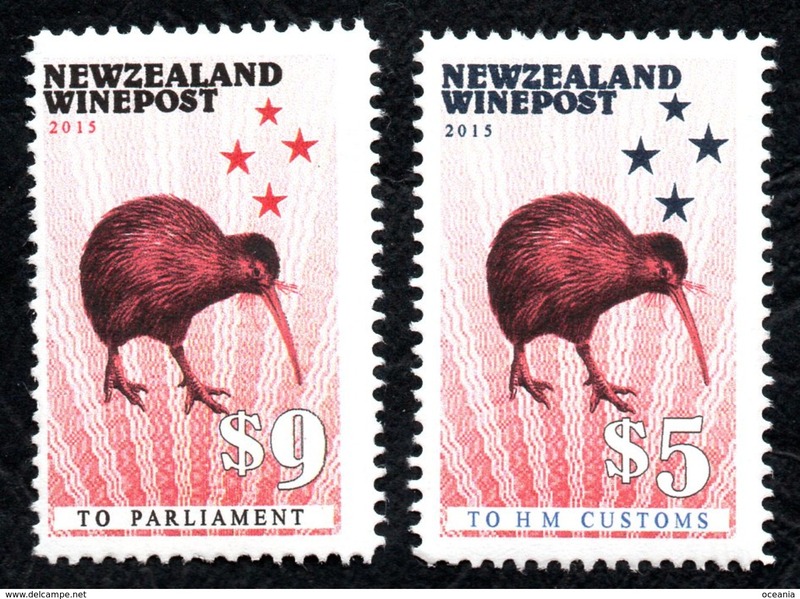 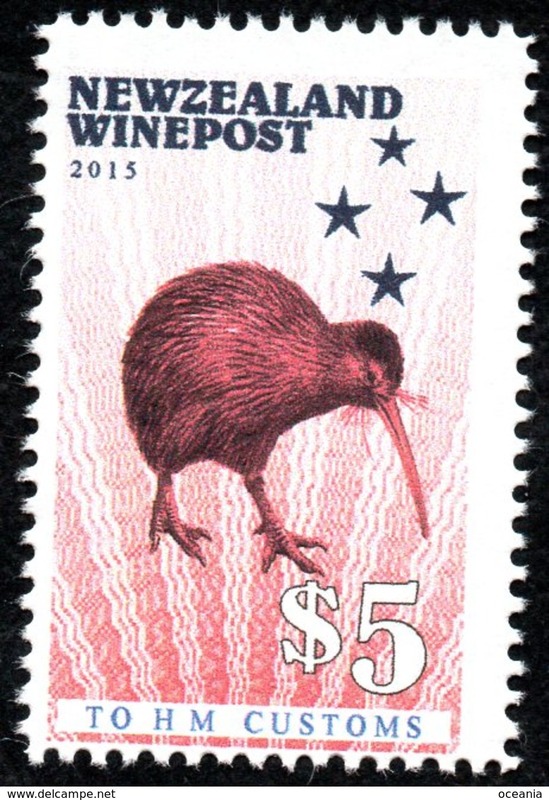 New Zealand Wine Post Red Kiwi pairs printed on the gum side. 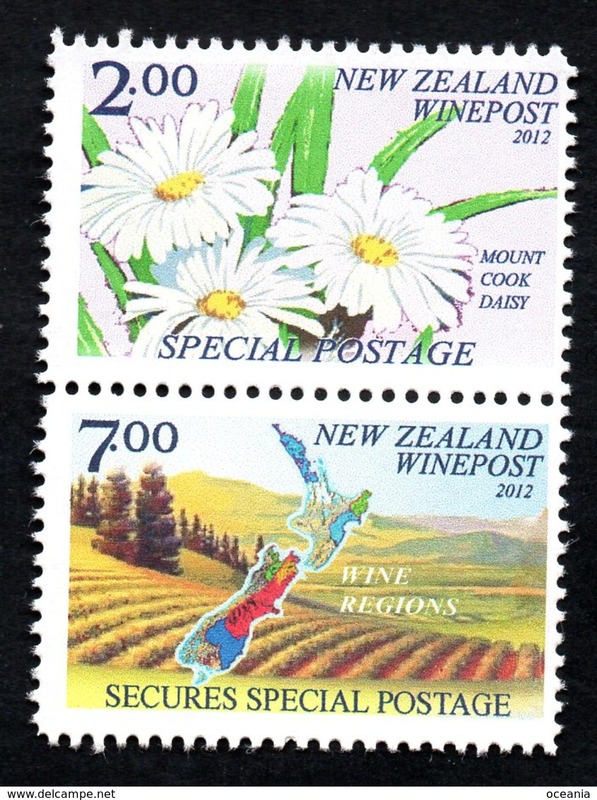 New Zealand Wine Post essay printing of the Wines and Flowers issue. 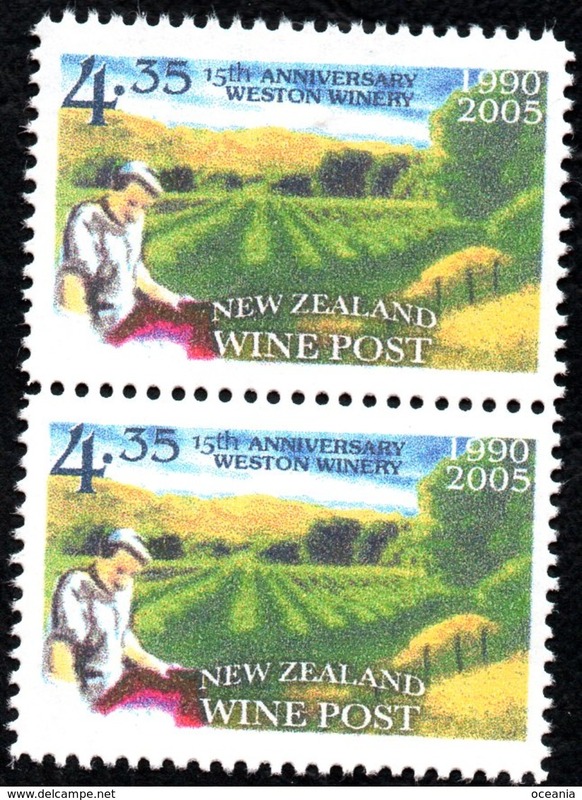 New Zealand Wine Post essay of World's Most Southern Winery. 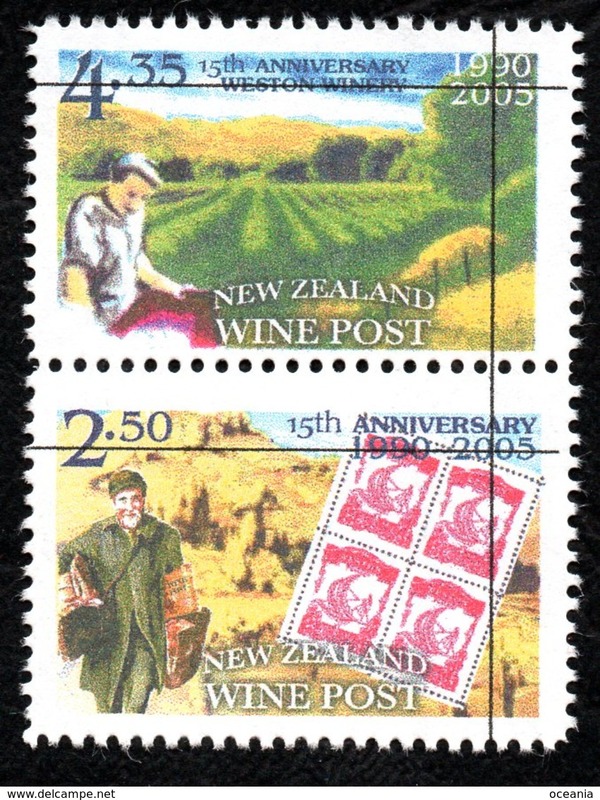 New Zealand Wine Post Wine Tasting Days print trial color graduation strip. 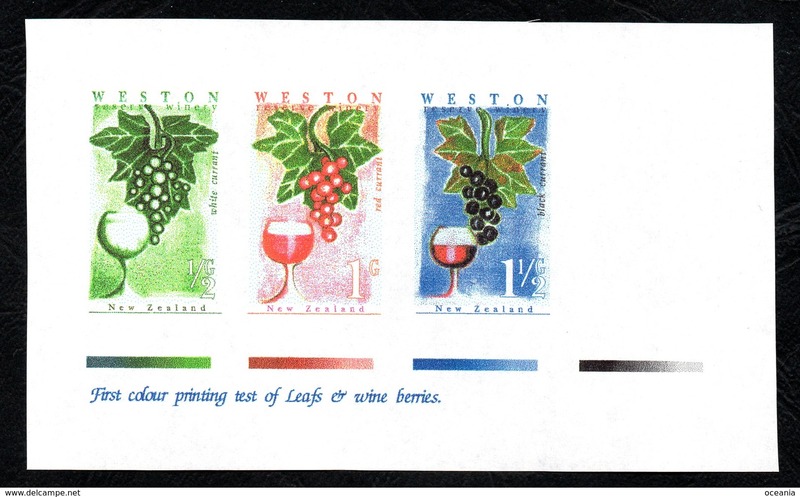 New Zealand Wine Post Leafs & Wine Berries print trial. 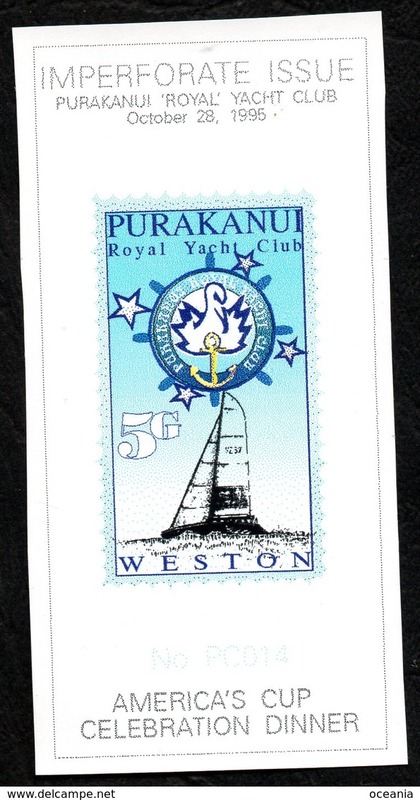 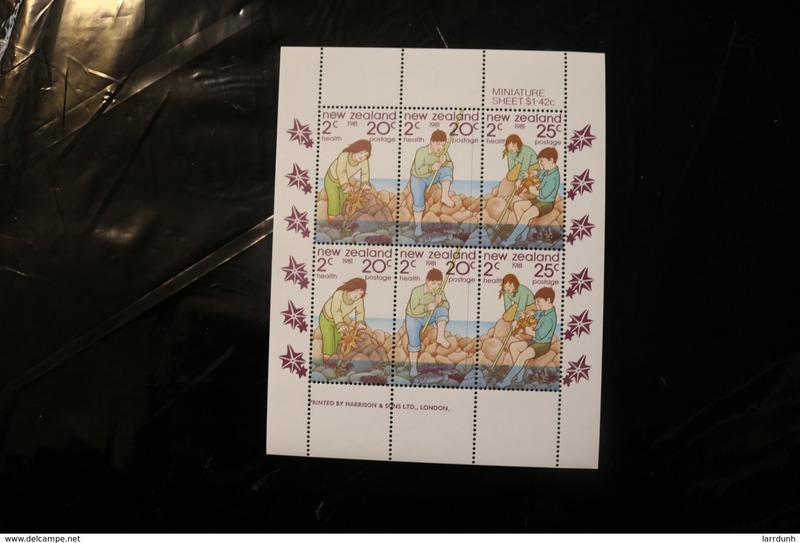 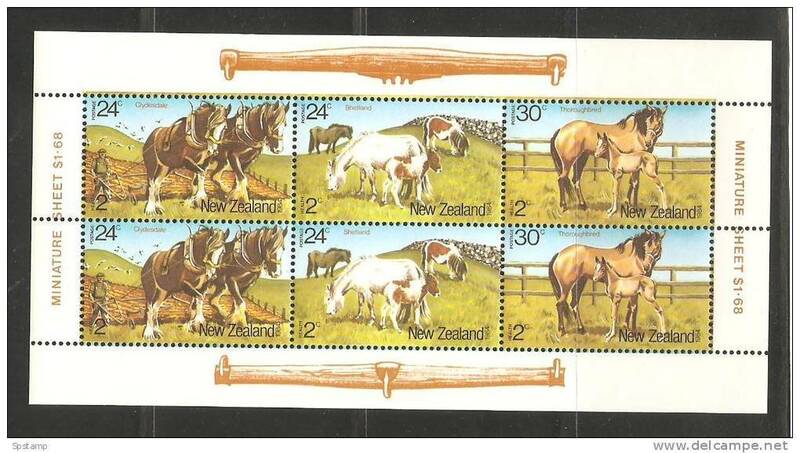 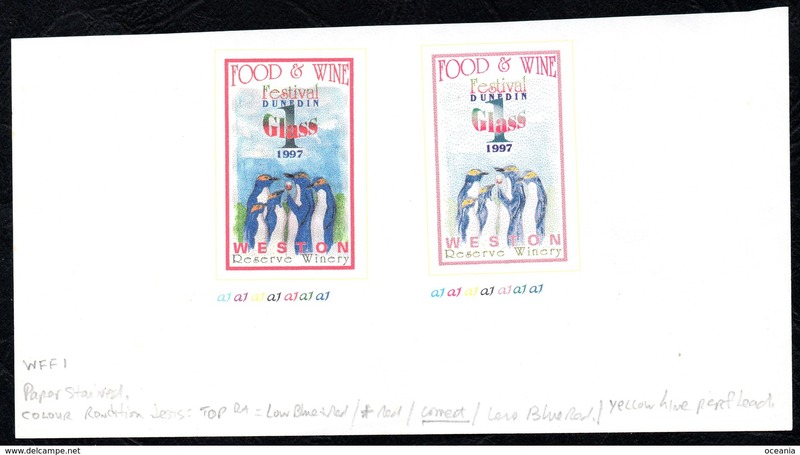 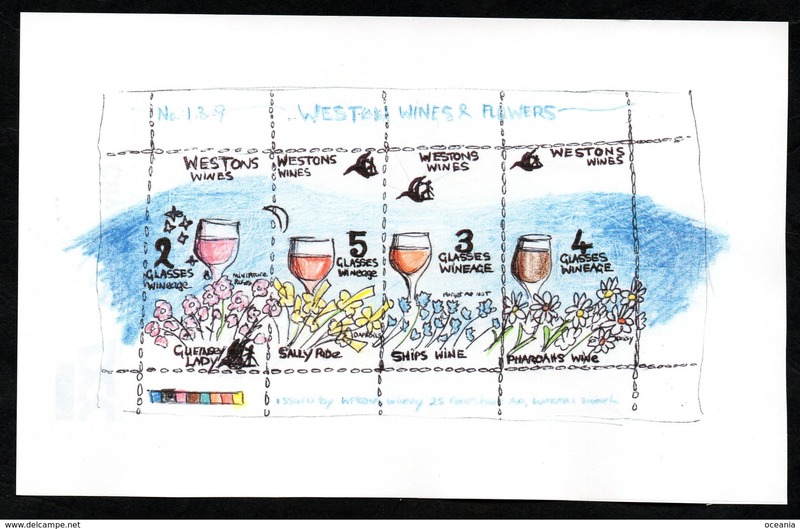 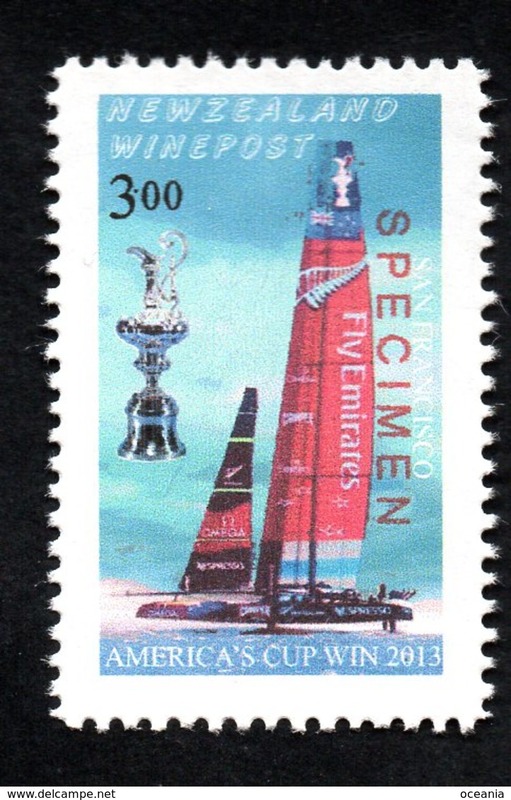 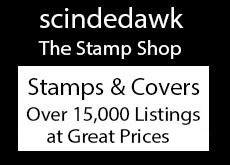 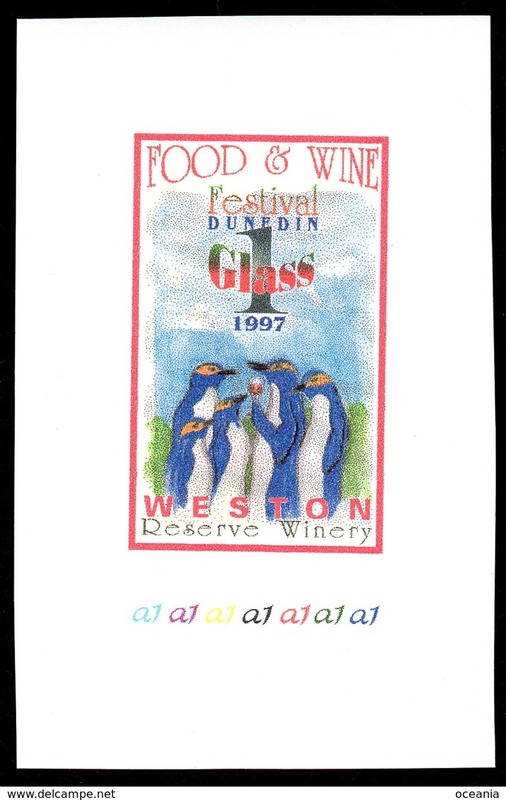 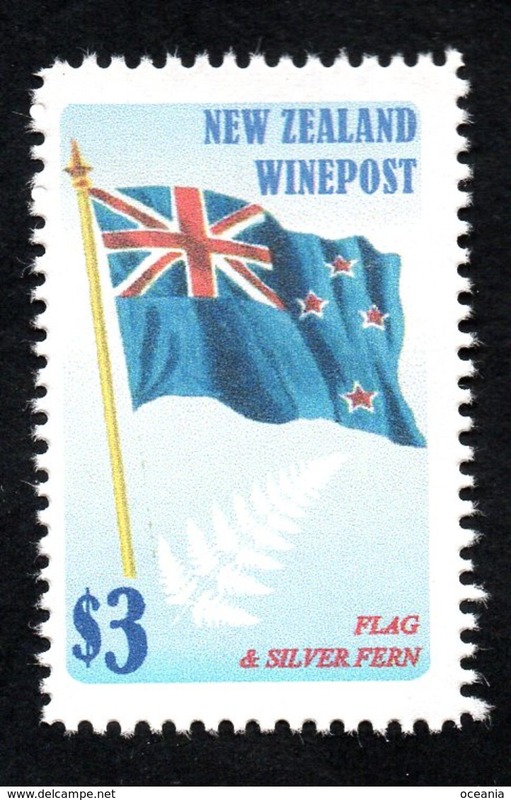 New Zealand Wine Post America Cup single stamp sheetlet. 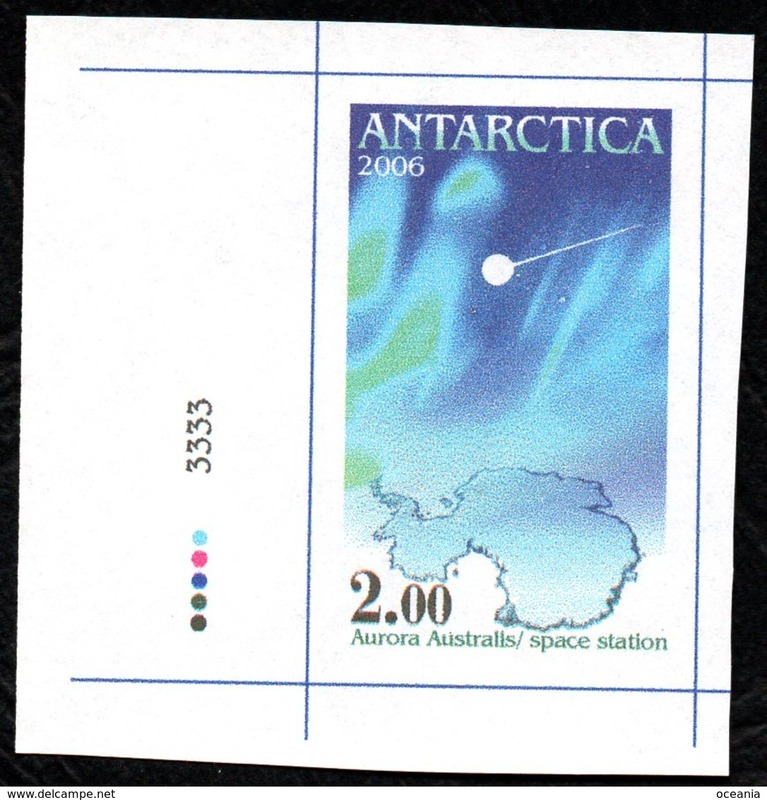 Antarctica Post prrof essay hollw numeral. 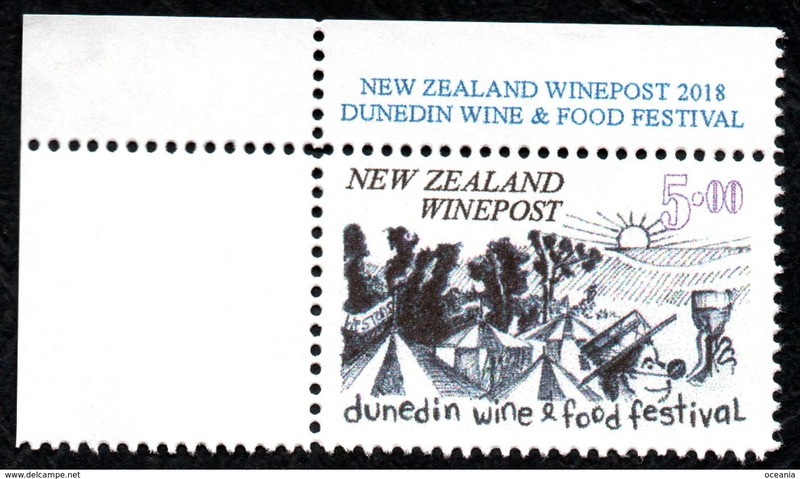 New Zealand Wine Post Food & Wine festival trial dark and light printings. 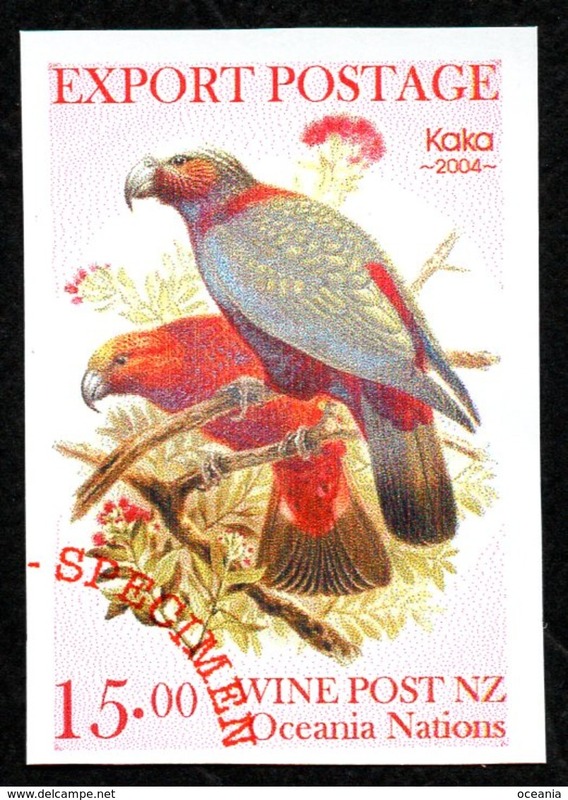 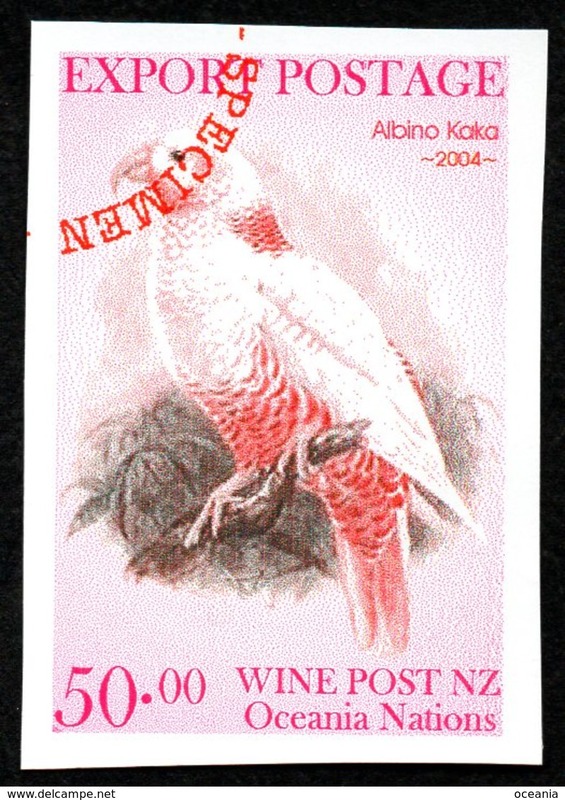 New Zealand Wine Post Wine Kaka specimen over print. 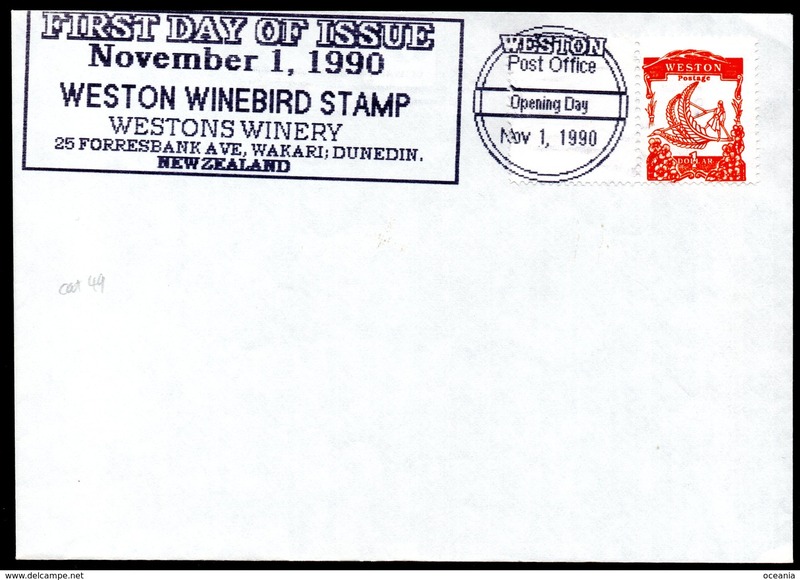 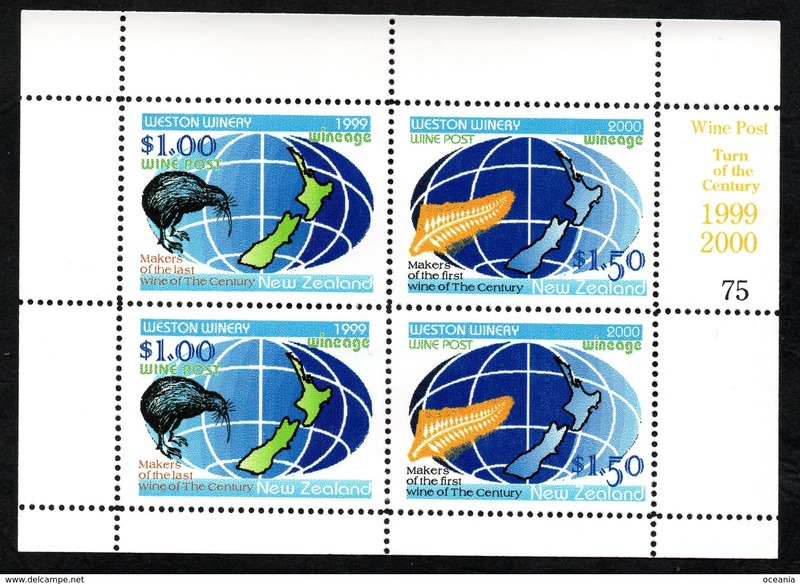 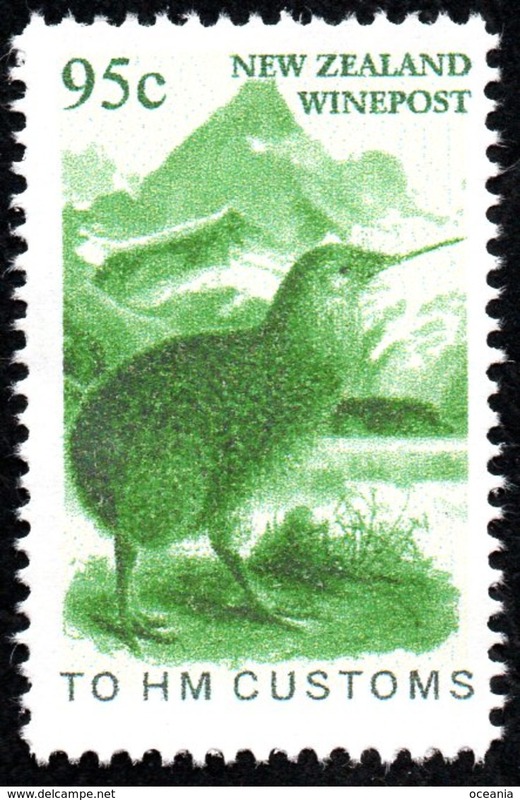 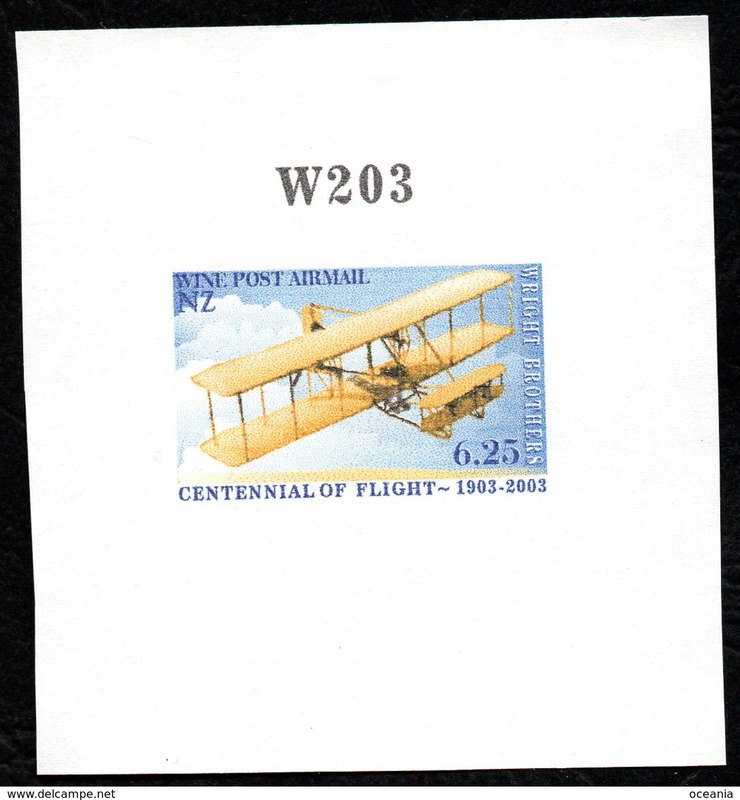 New Zealand Wine Post cover with Orange Wine Bird stamp. 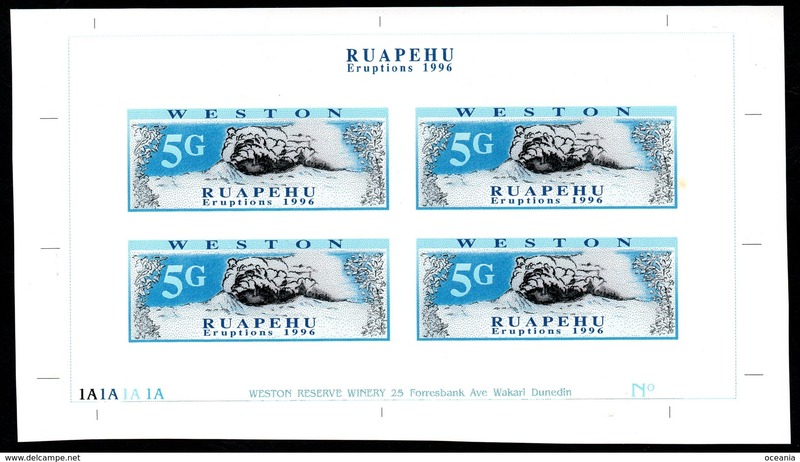 New Zealand Wine Post Ruapehu eruption glass plate block. 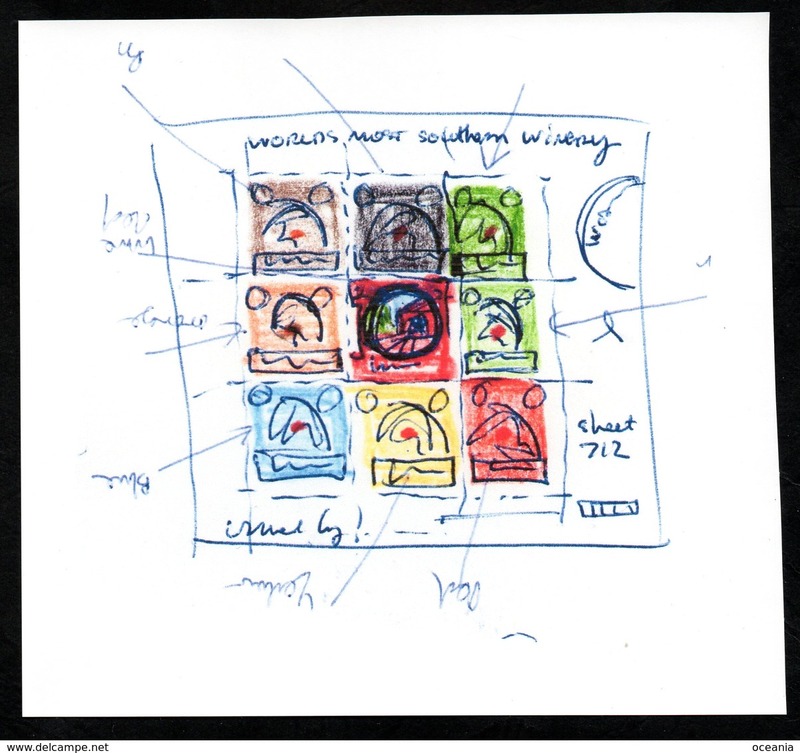 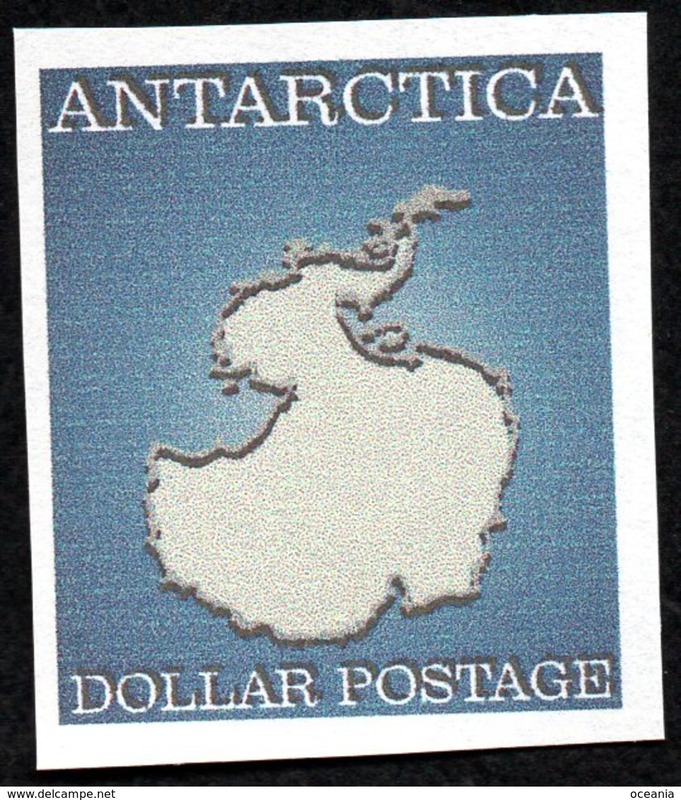 Antarctica Post first issue rejected design Presentation Card. 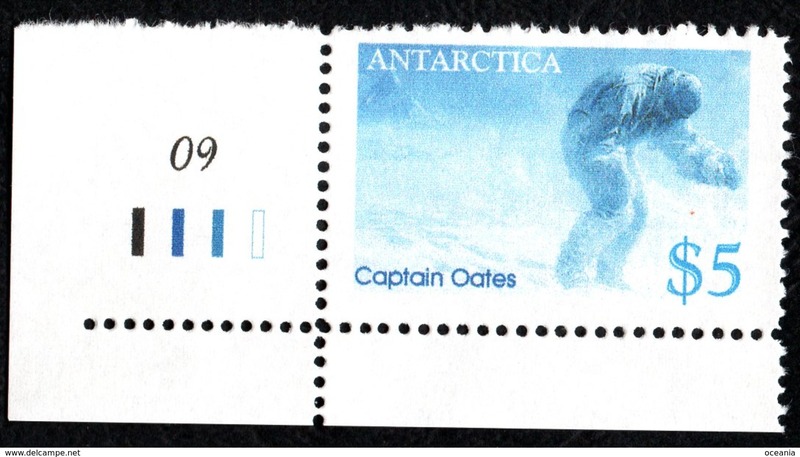 Captain Oates. 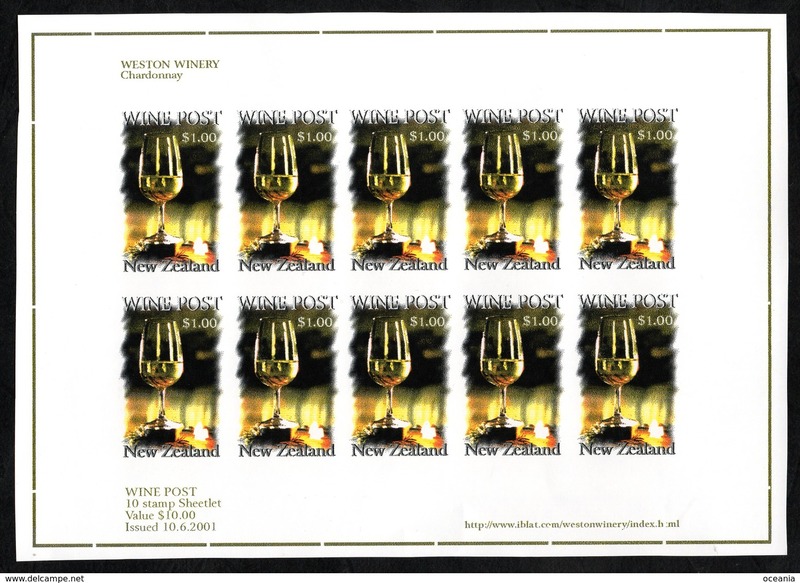 New Zealand Wine Post Chardonnay imperf sheet. 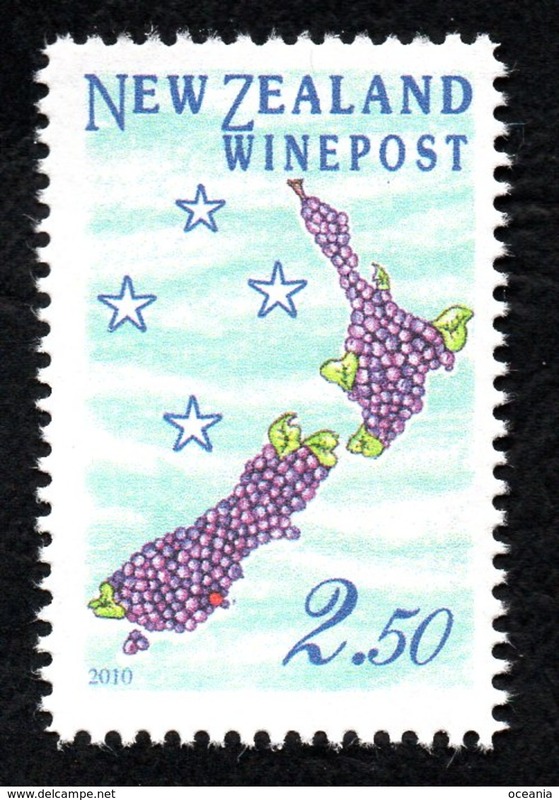 New Zealand Wine Post forrunner stanp. 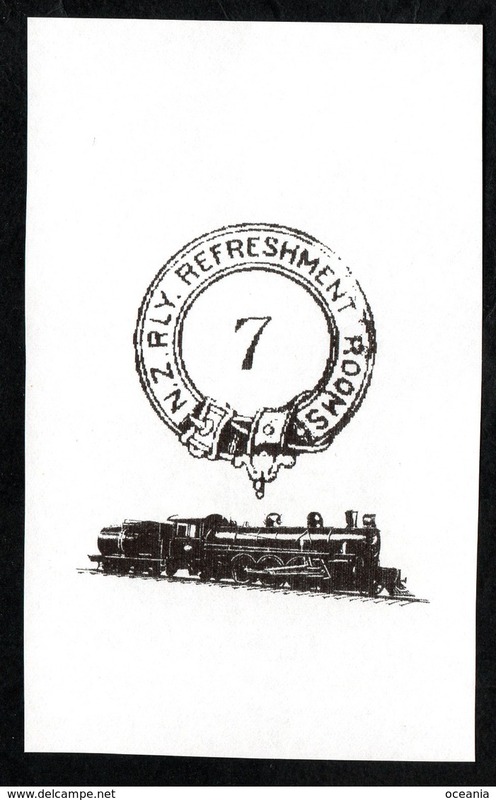 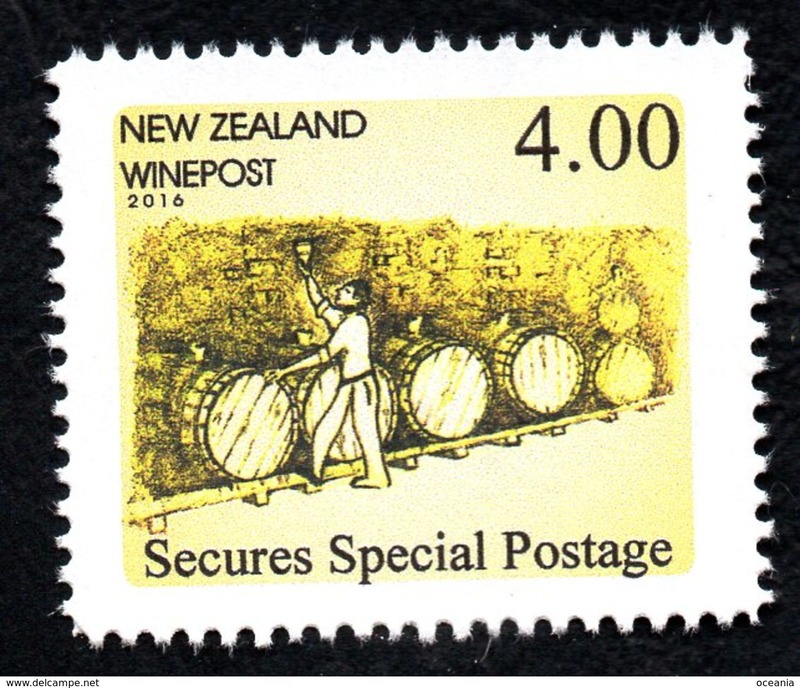 New Zealand Wine Post cache for the locomotives sheet margin. 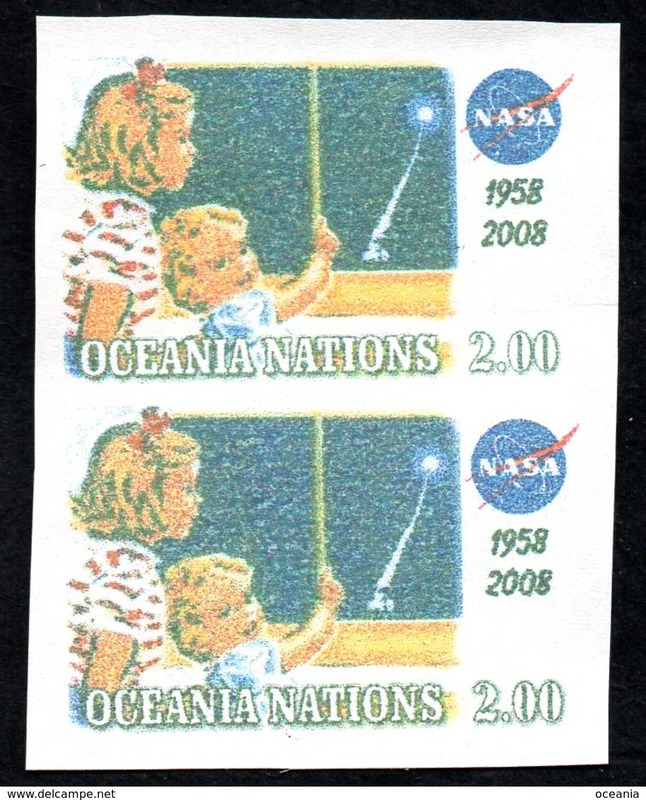 Oceania Postage NASA Anniversary color trial. 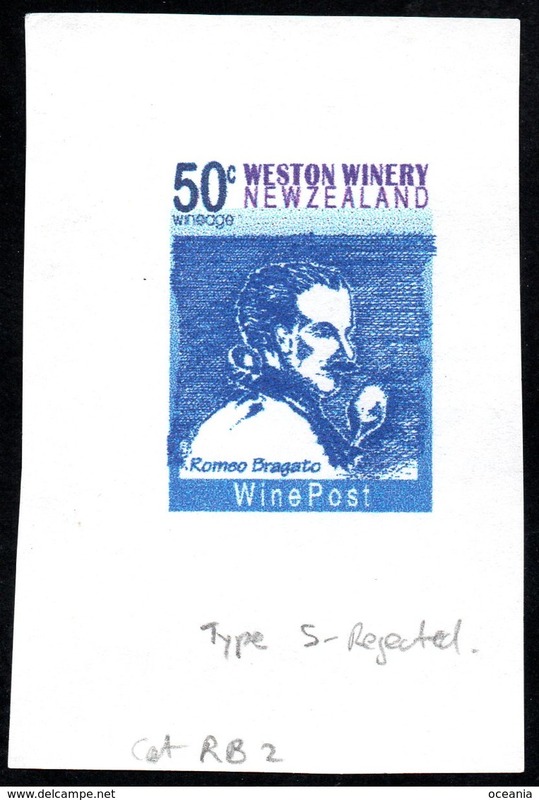 New Zealand Wine Post Bragato rejected design printing. 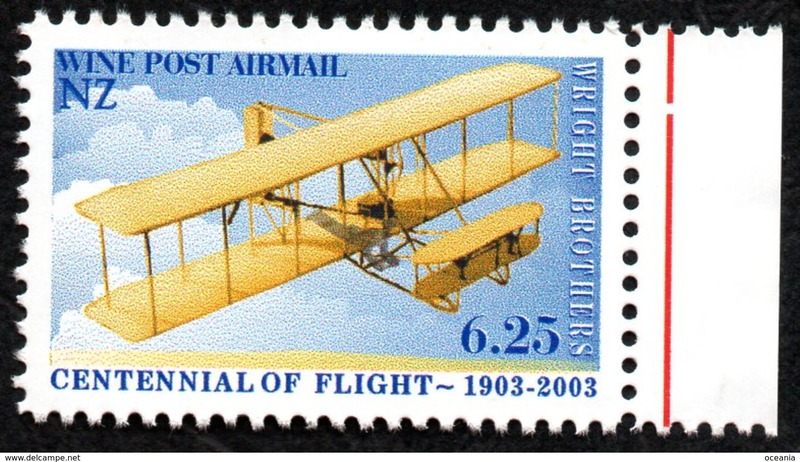 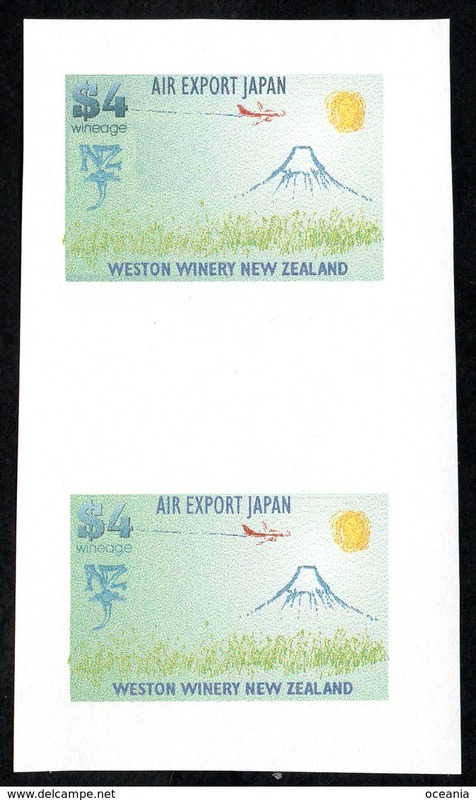 New Zealand Wine Post Wright Brothers first flight color trial printing. 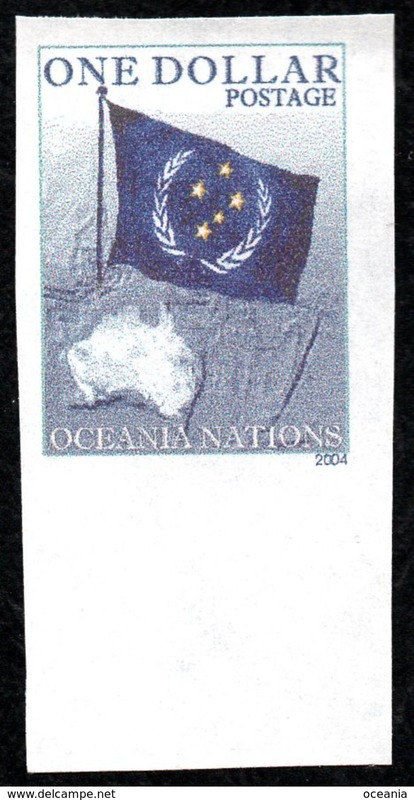 Oceania Post Captain Cook design essay. 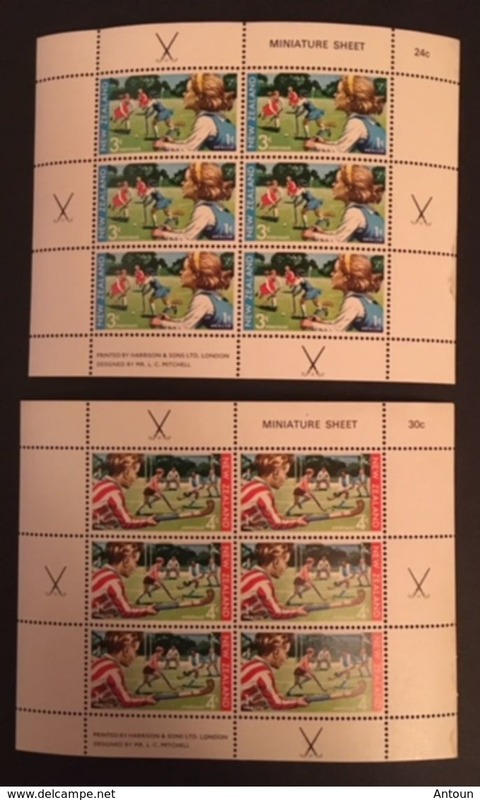 Dak and light backgrounds. 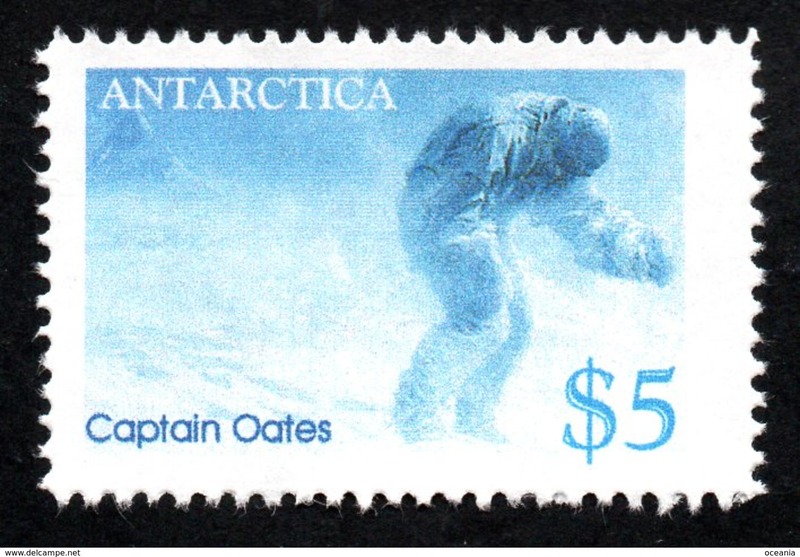 Antarctica Post Captain Oates walks out inthe blizzard. 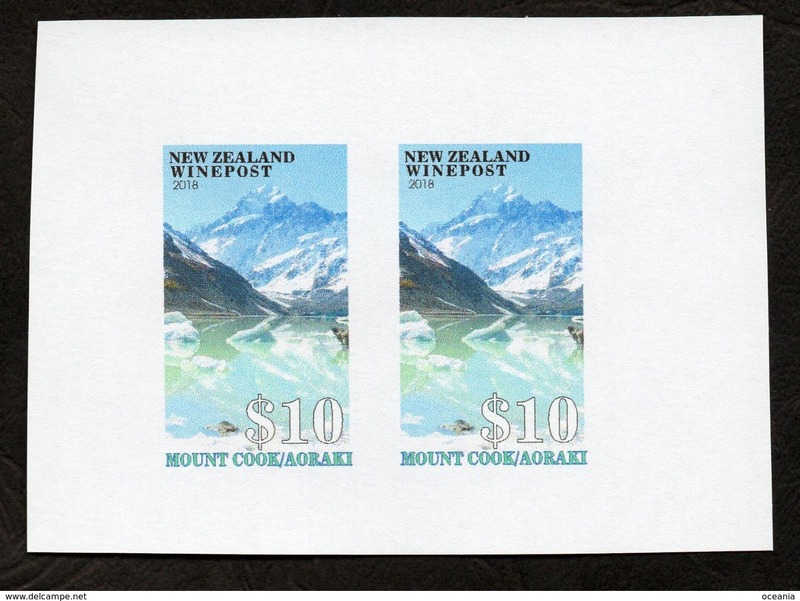 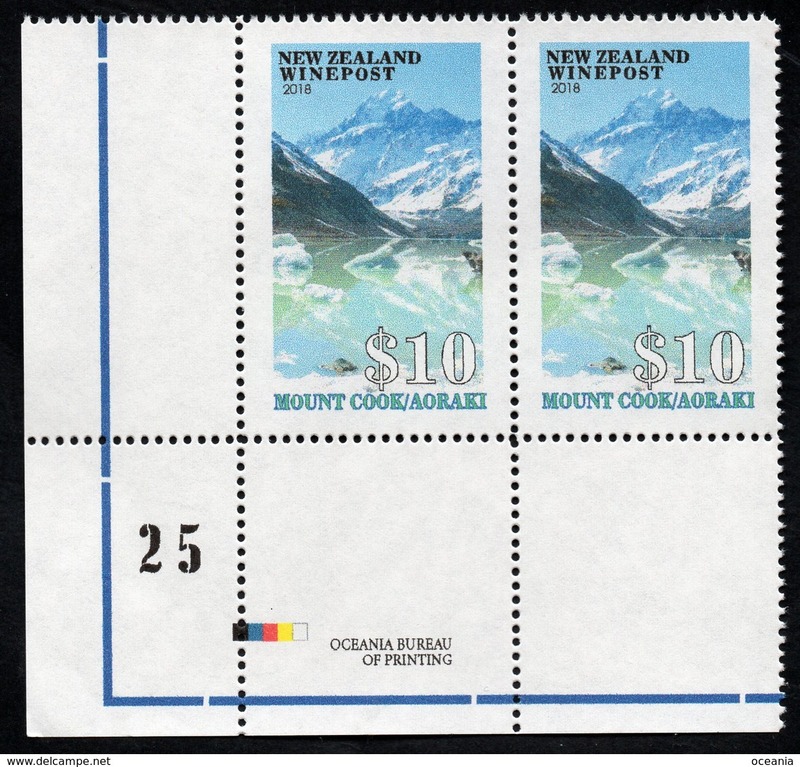 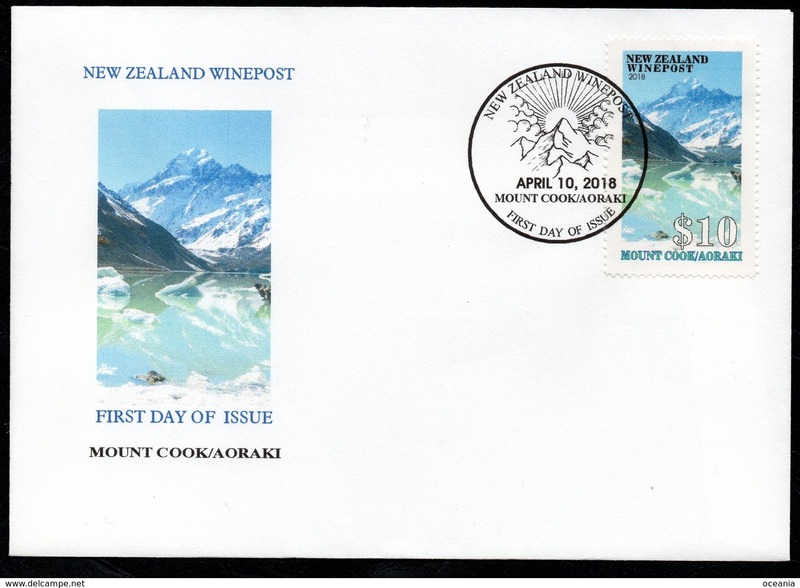 New Zealand Wine Post 2001 Mount Cook Conquerors part printing on the gummed side. 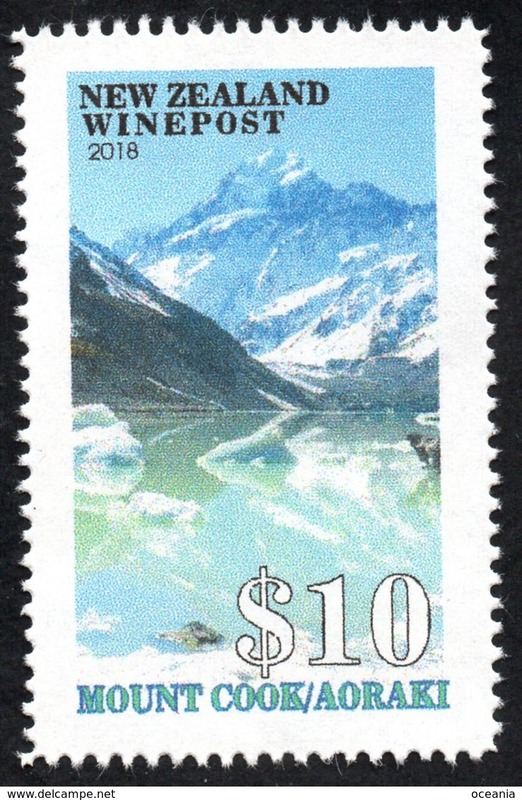 Printed also on the correct side. 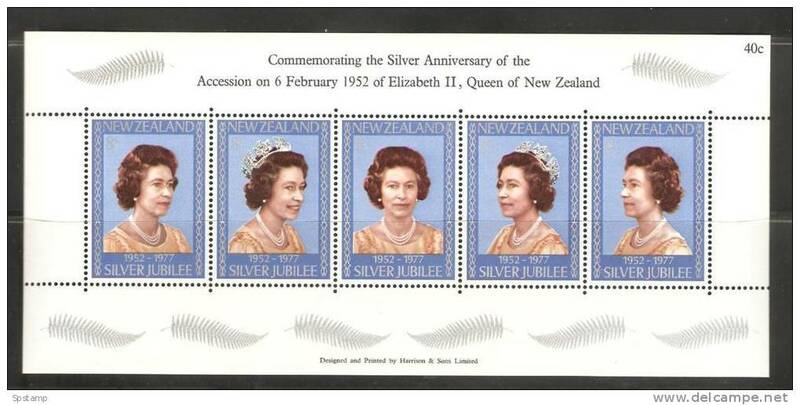 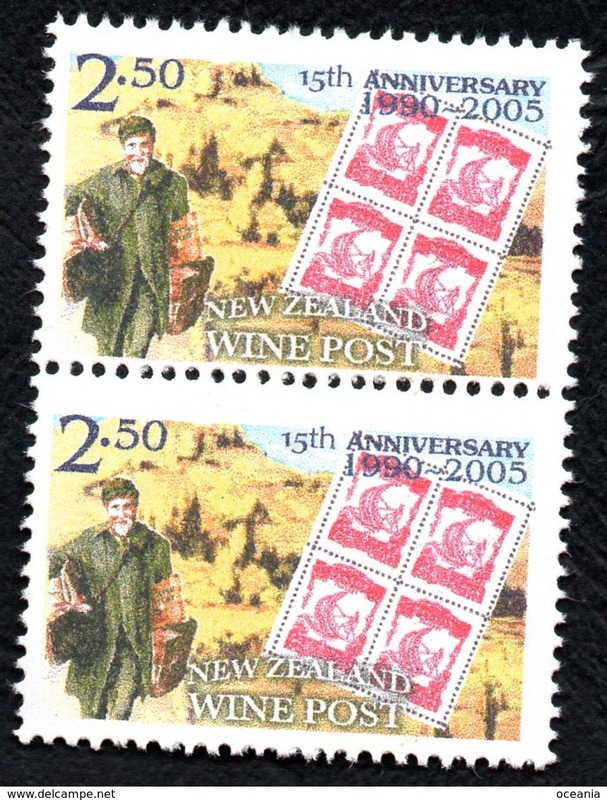 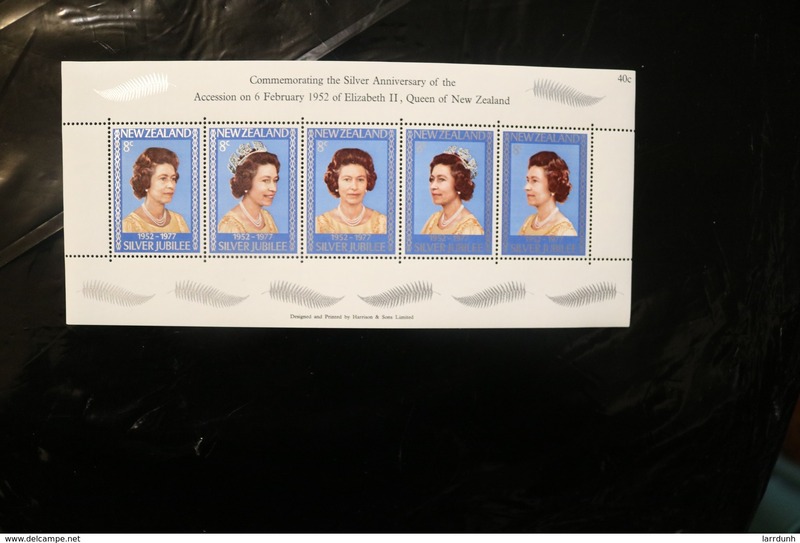 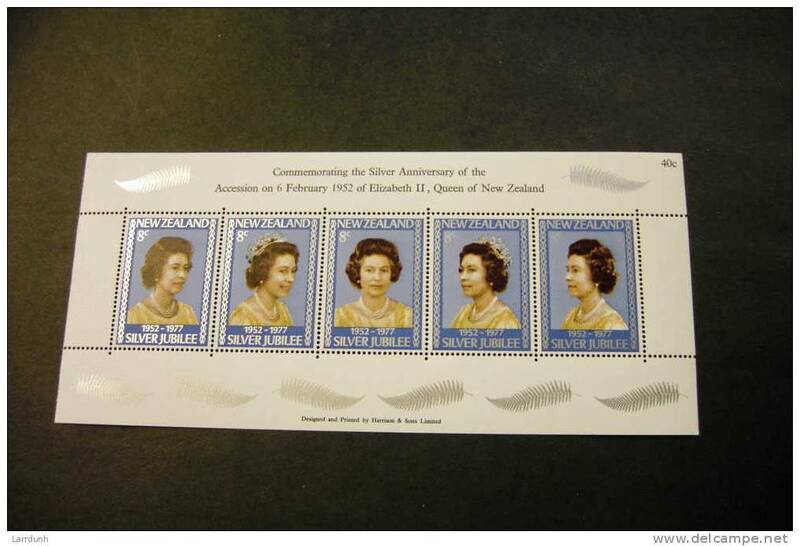 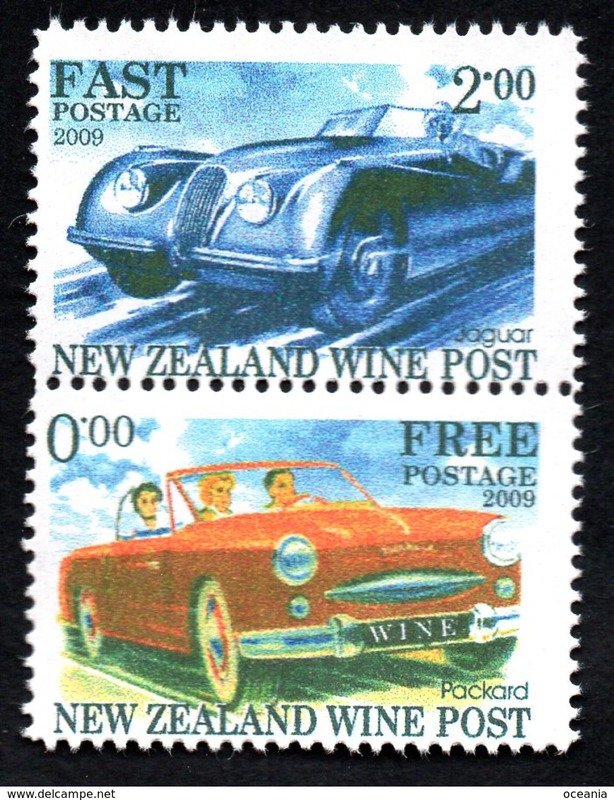 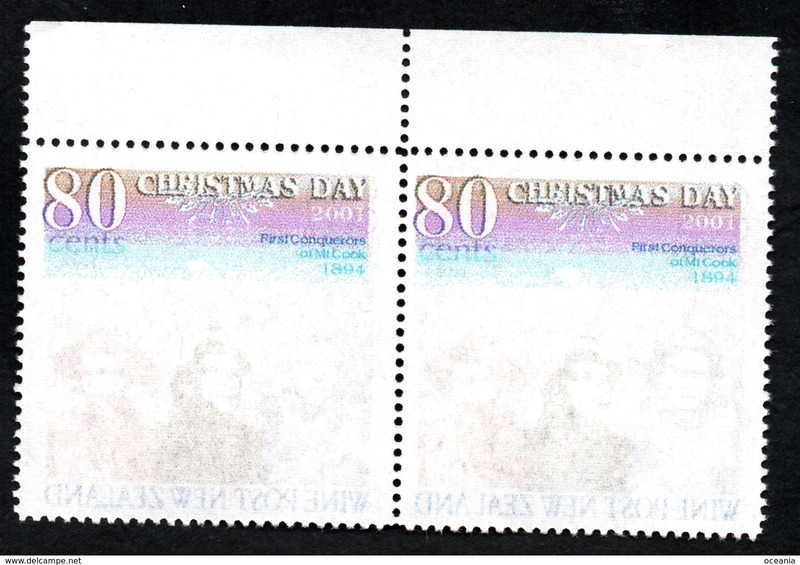 New Zealand Wine Post 1990-2005 anniversary Cross-back pair. 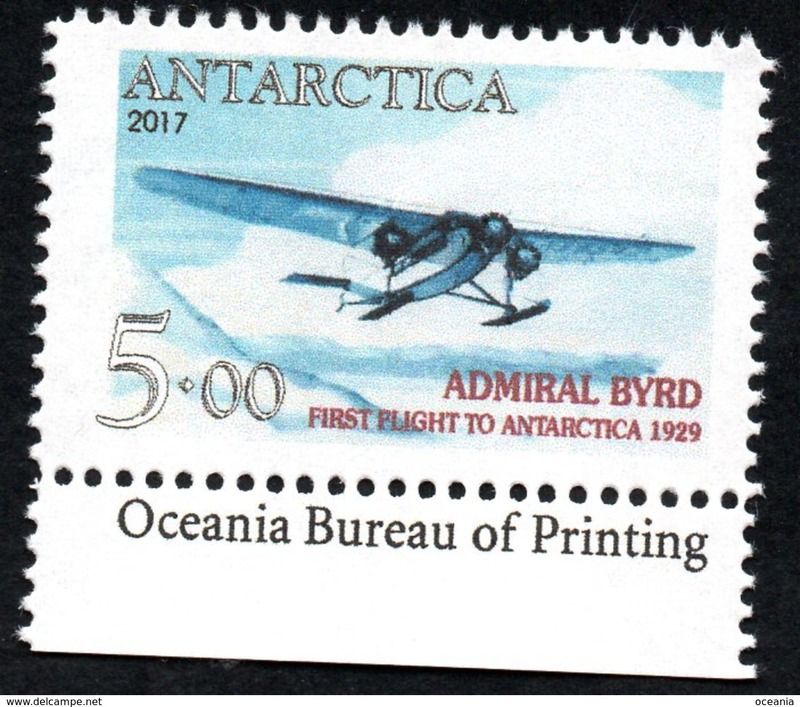 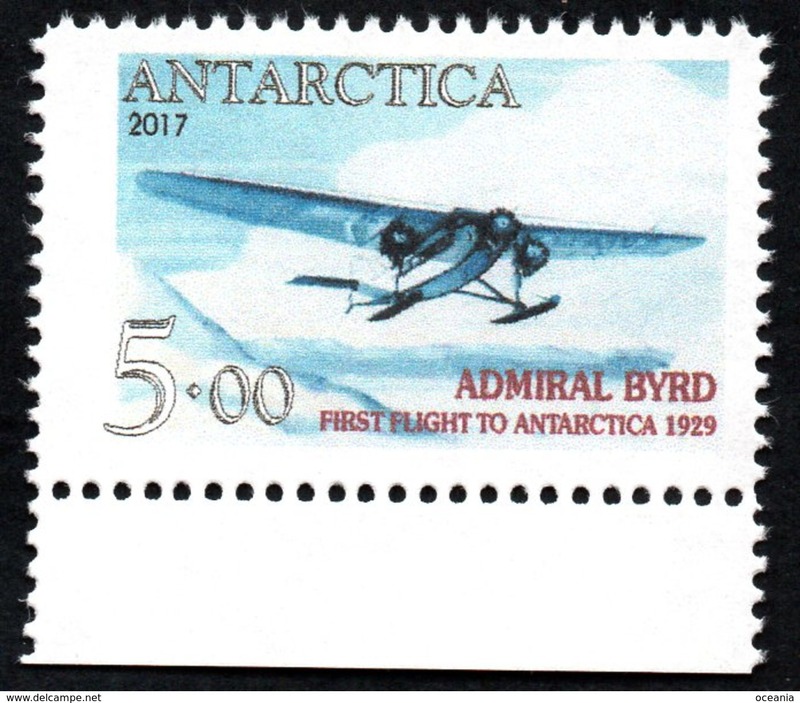 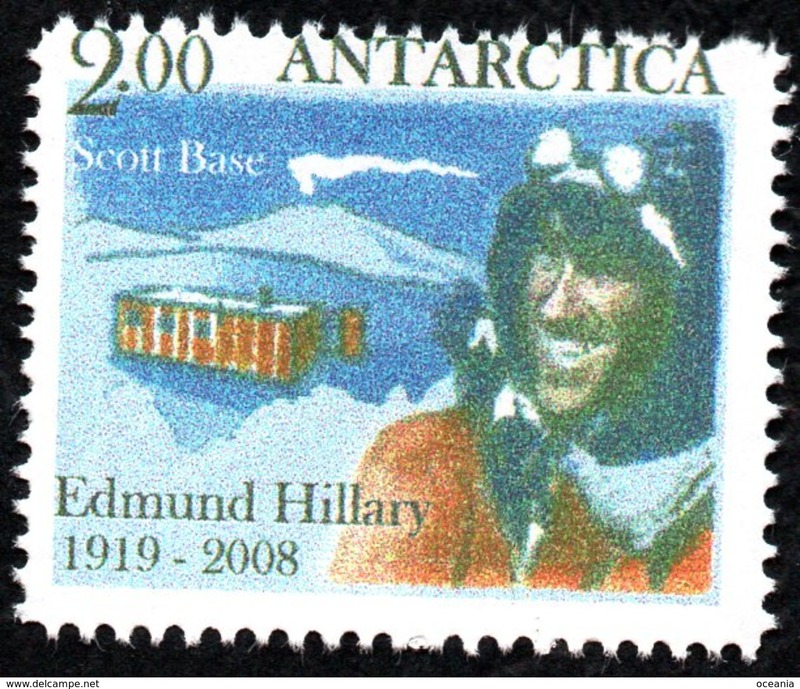 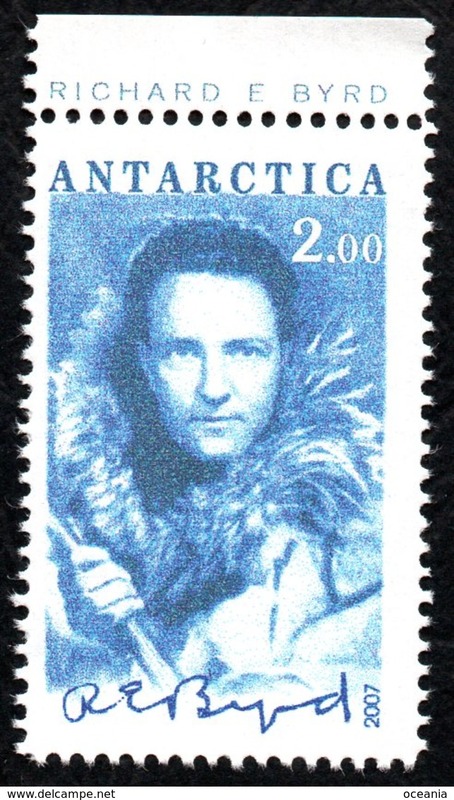 Antarctica Post Scott Admiral Byrd single. 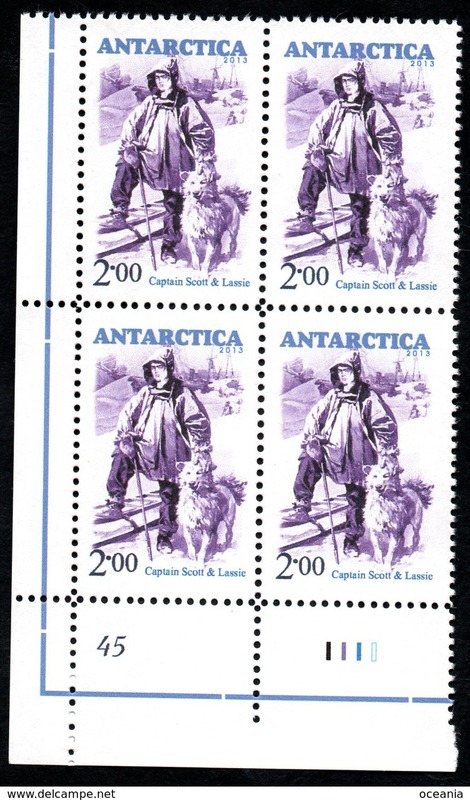 Antarctica Post Scott & Lassie corner block with sheet numbers and color bars. 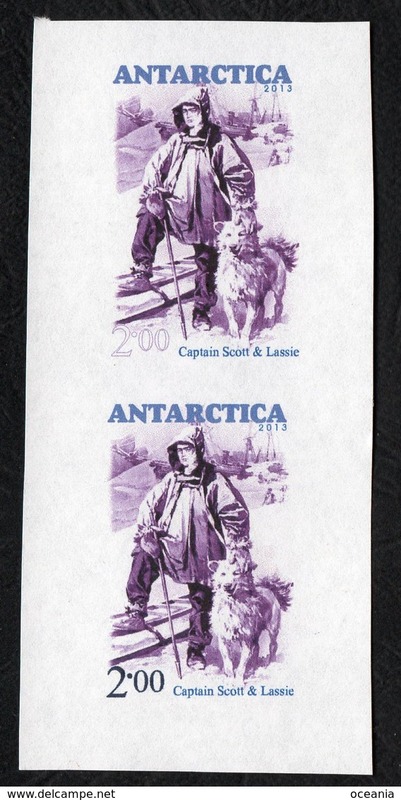 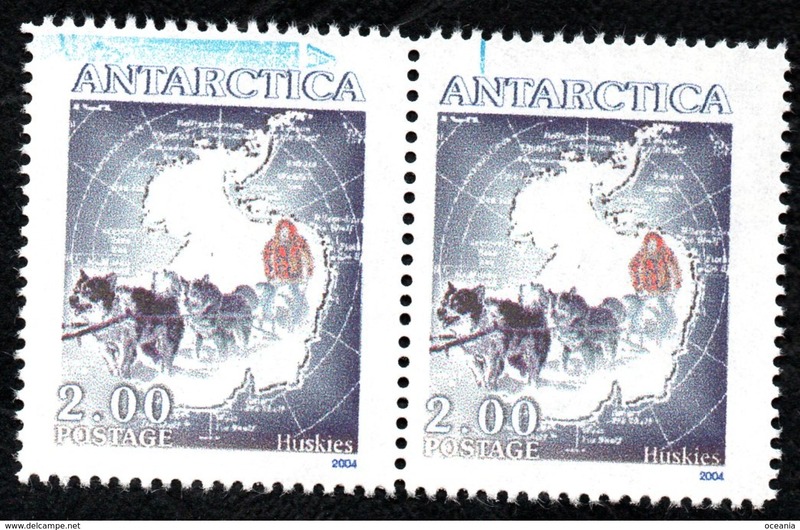 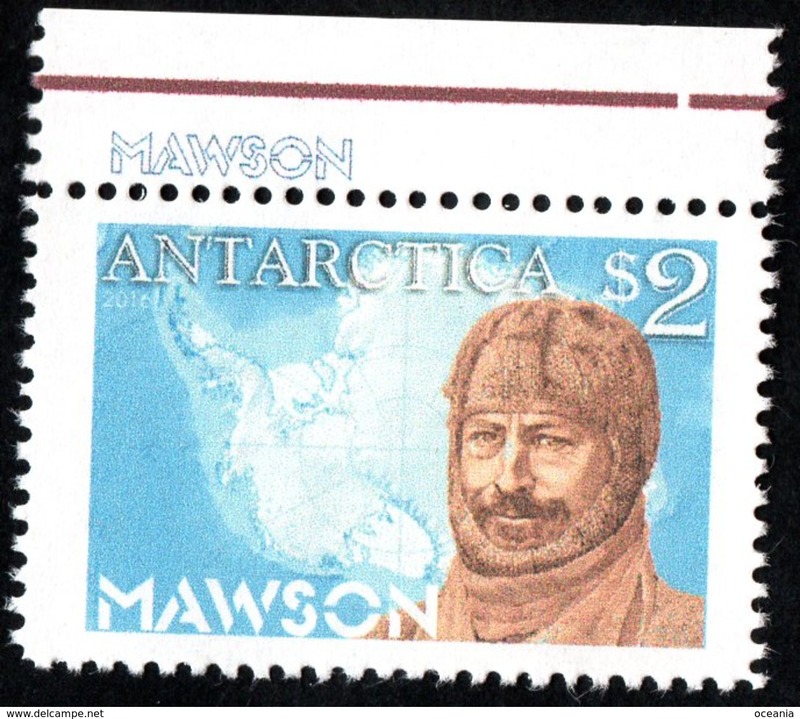 Antarctica Post Scott & Lassie pair with specimen overprint. 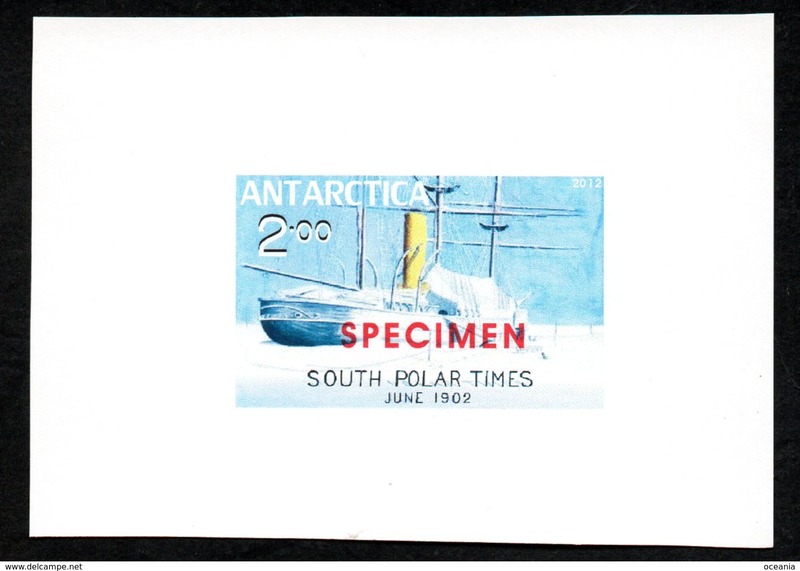 Antarctica Post South Pole Times imperf Specimen Overprint. 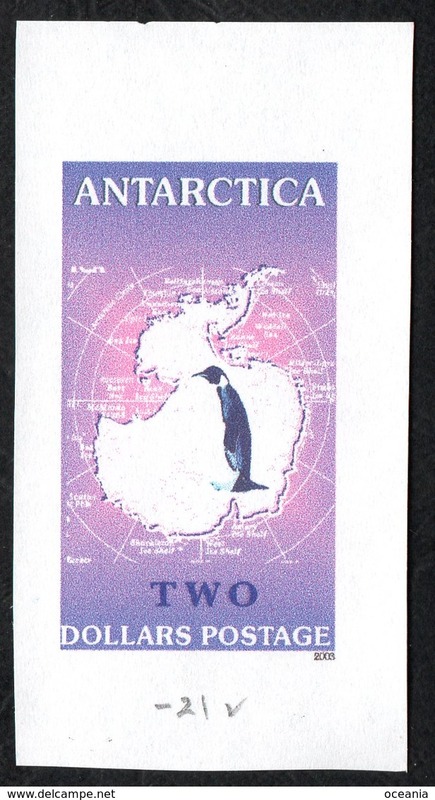 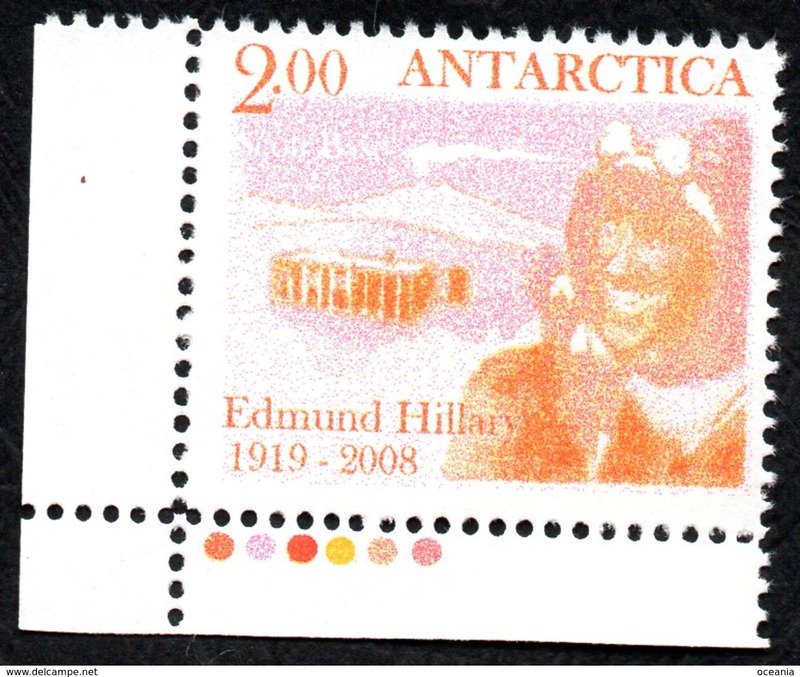 Antarctica Post single with enscription. 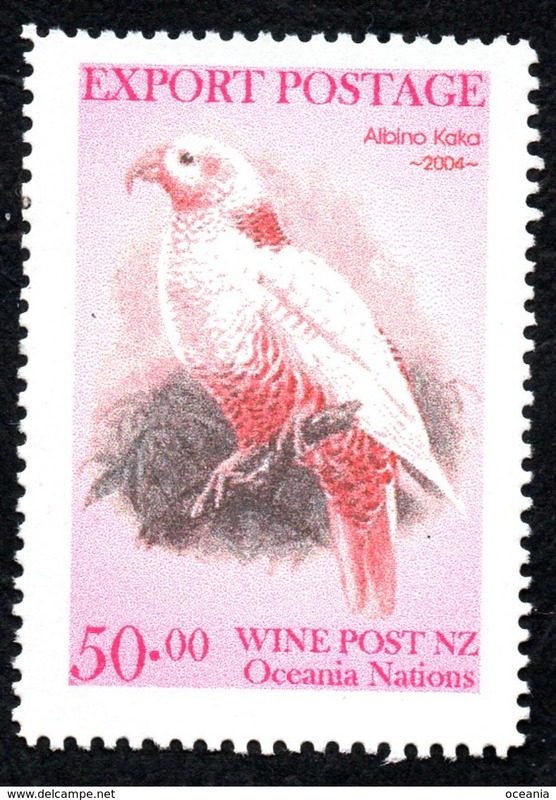 New Zealand Wine Post Albino Kaka. 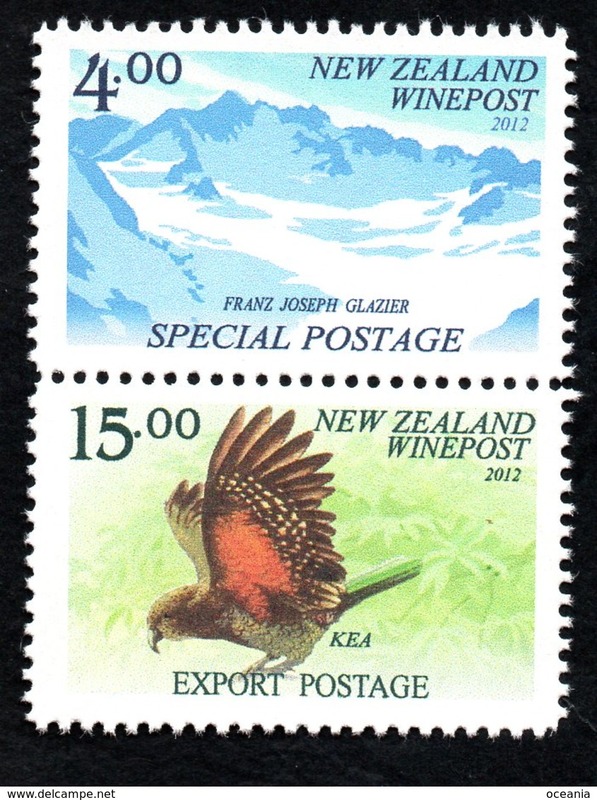 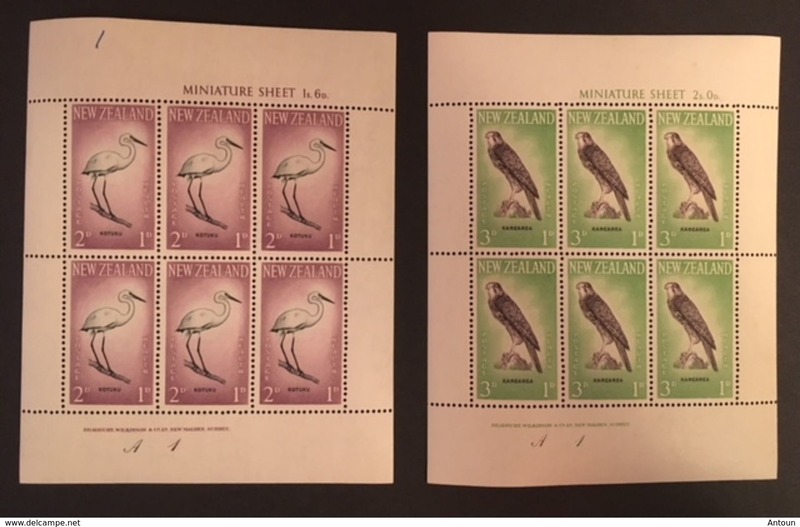 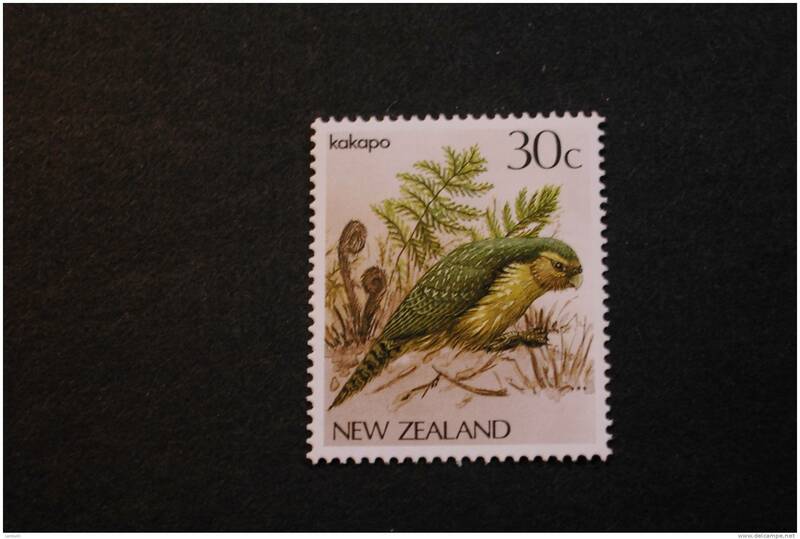 New Zealand Wine Post rare missing year, imperf color trial for the birds series. 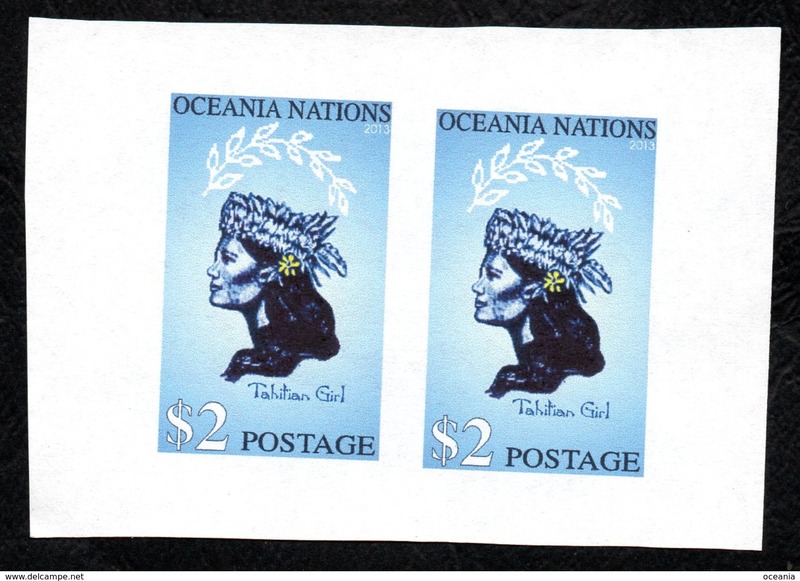 Oceania Post Tahitian Girl imperf pair. 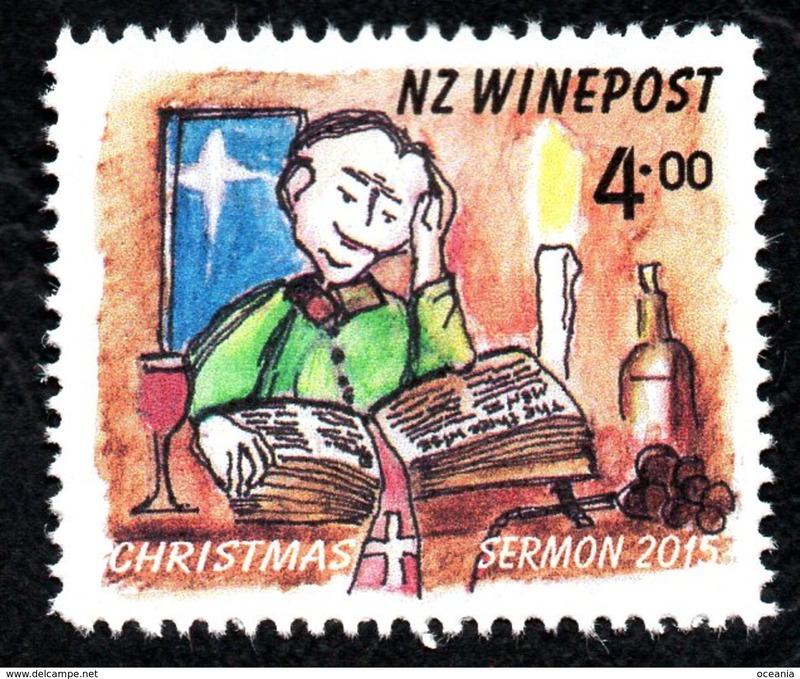 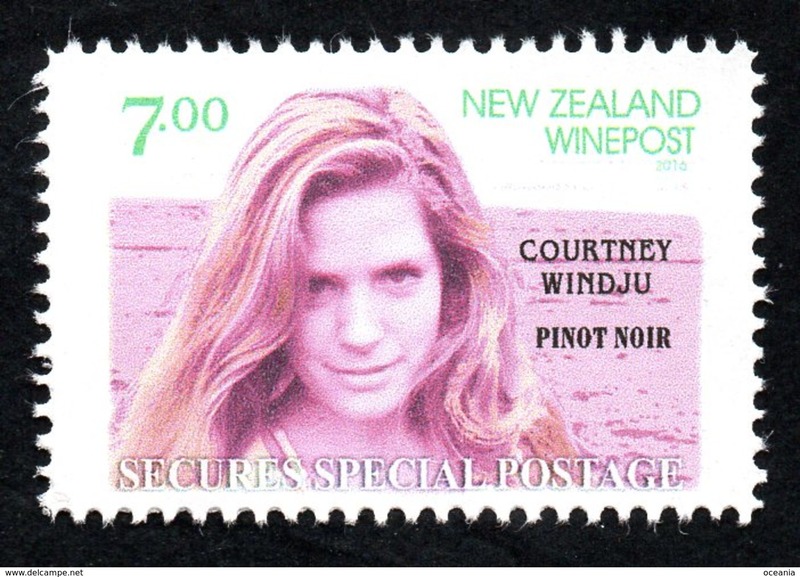 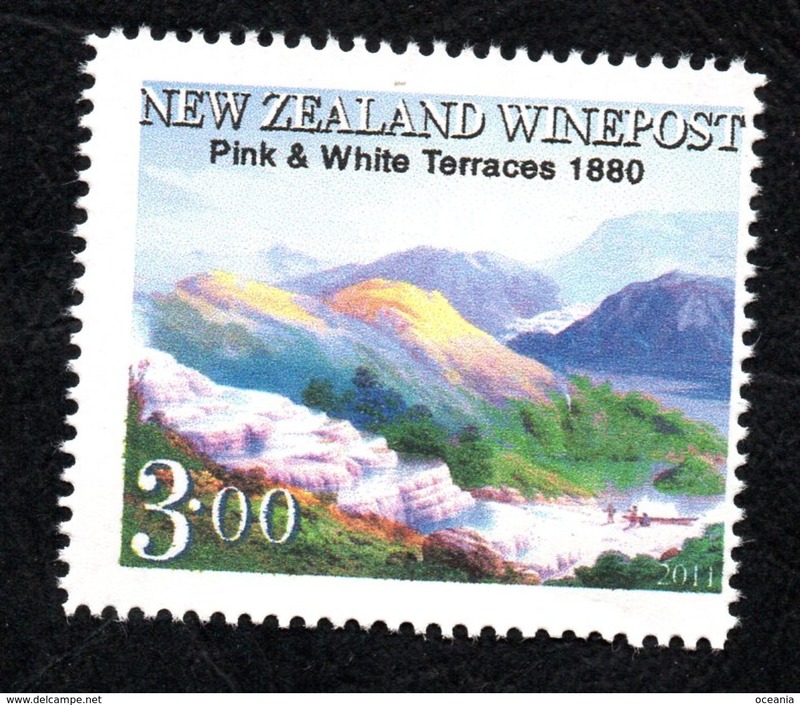 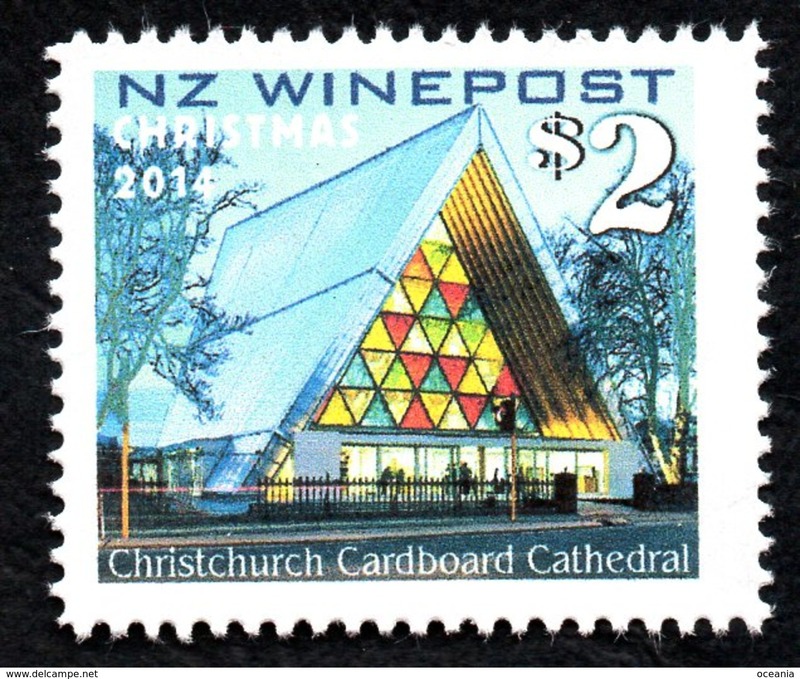 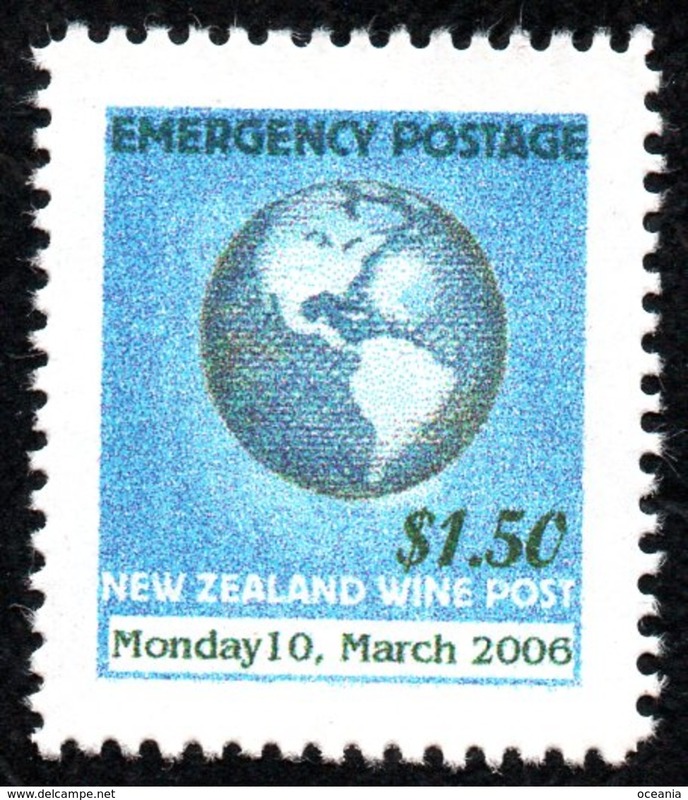 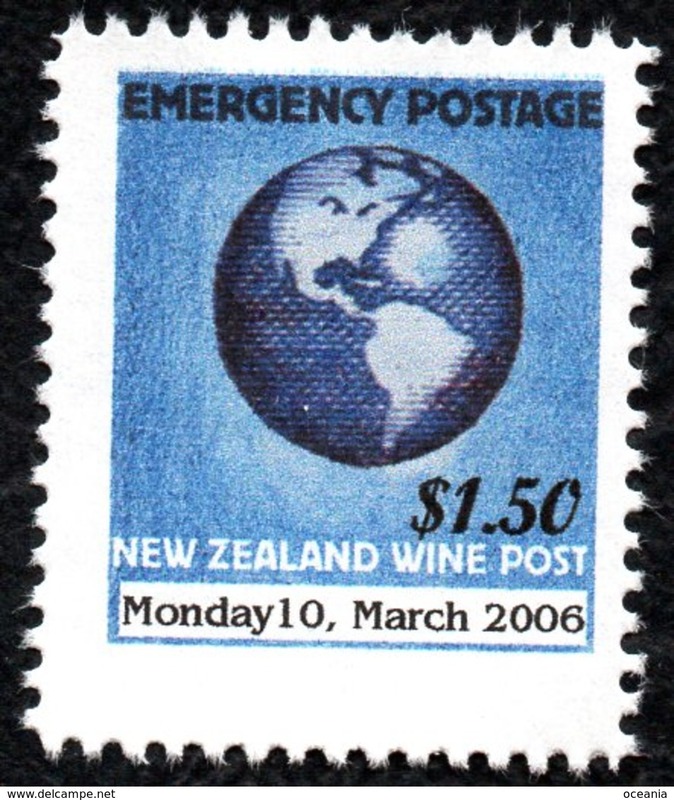 New Zealand Wine Post Emergency dated stamp. 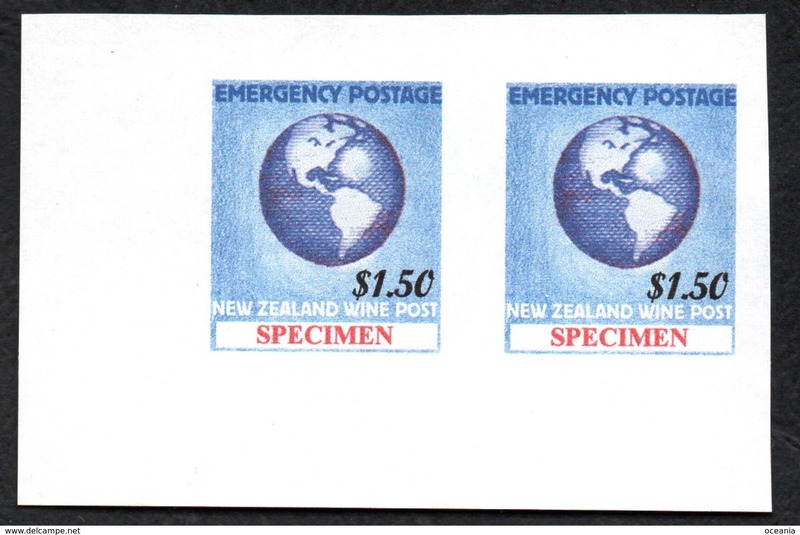 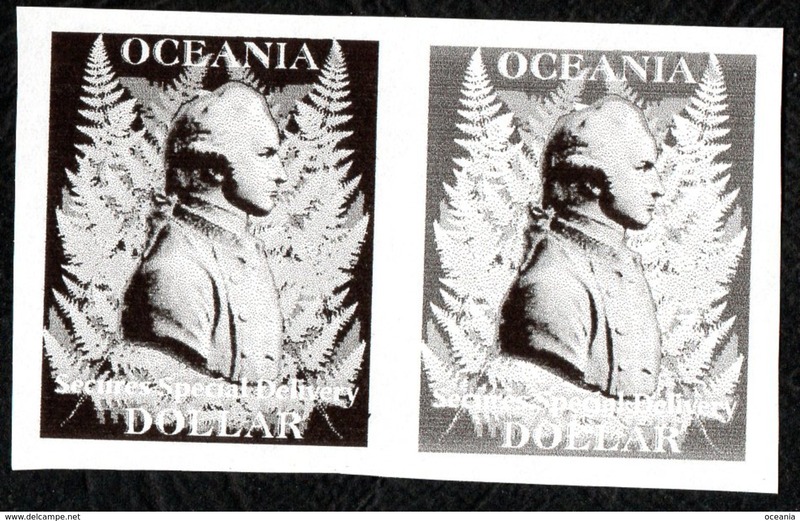 New Zealand Wine Post Emergency pair- rare red specimen overprints. 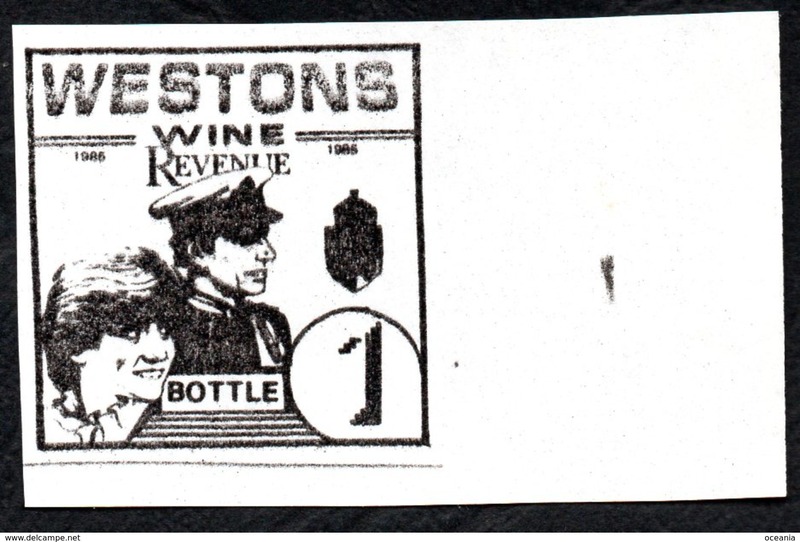 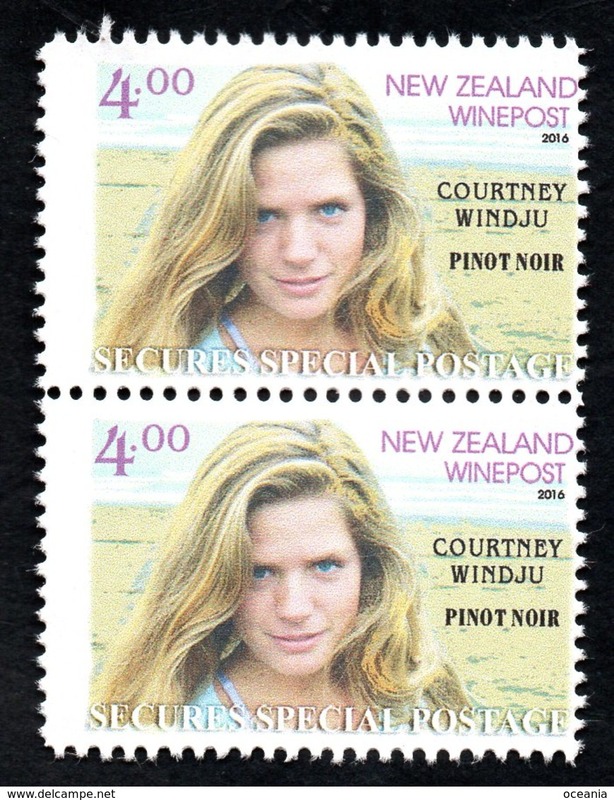 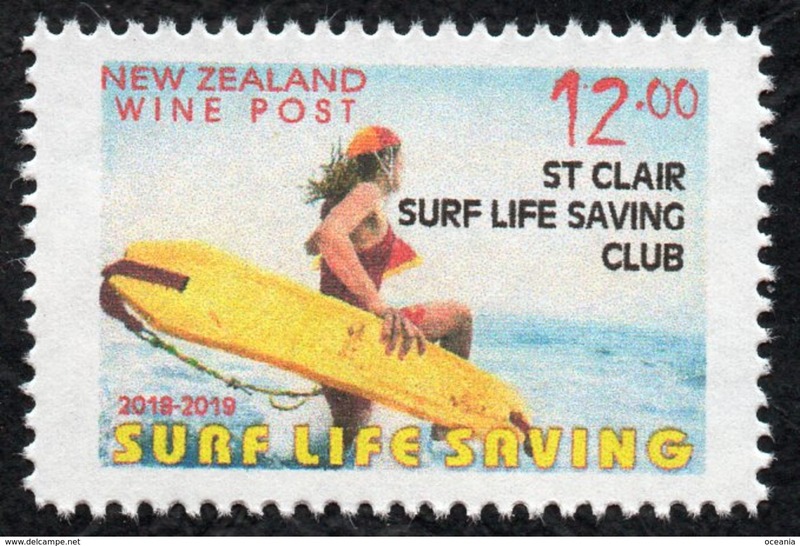 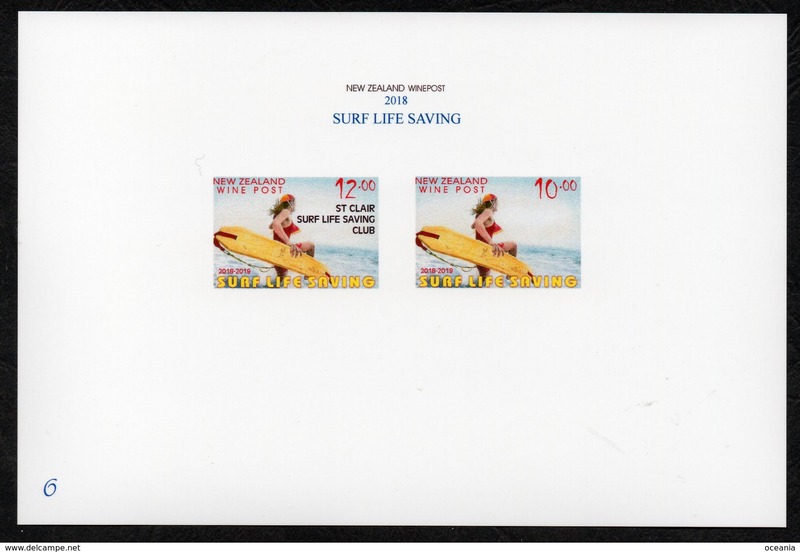 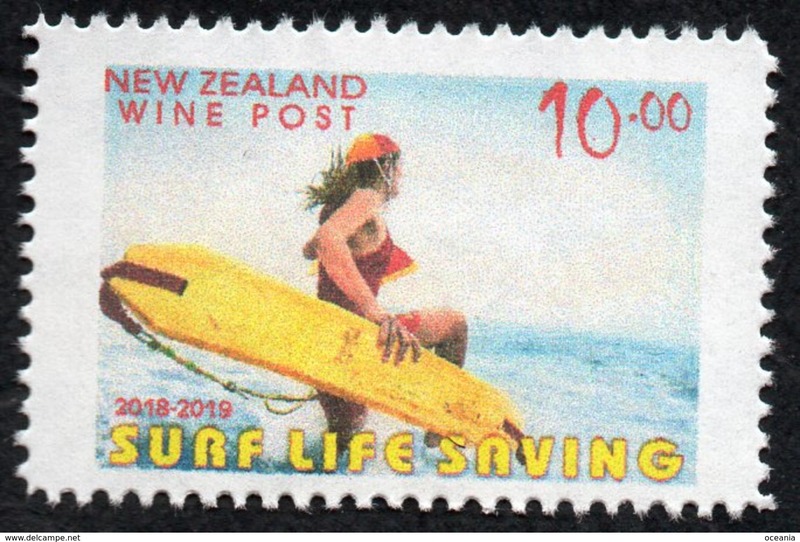 New Zealand Wine Post Surf life Saving overprint in margin. 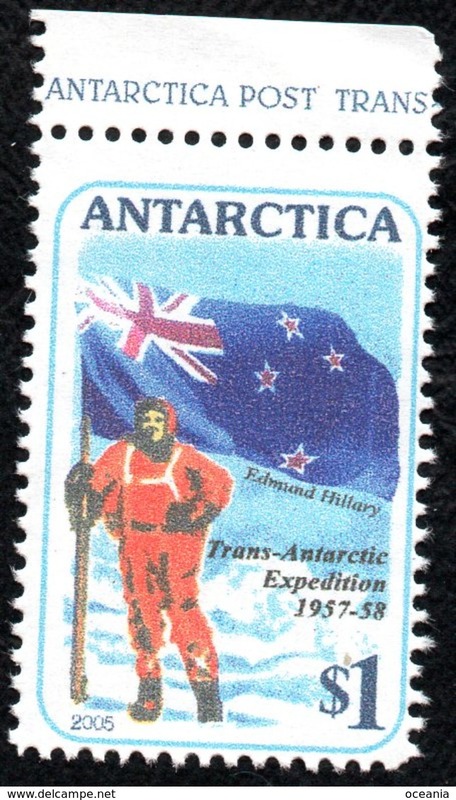 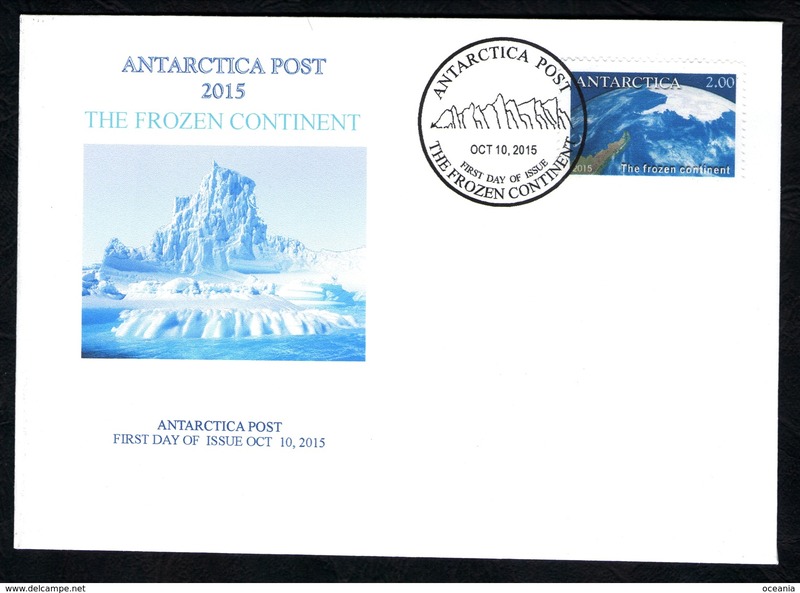 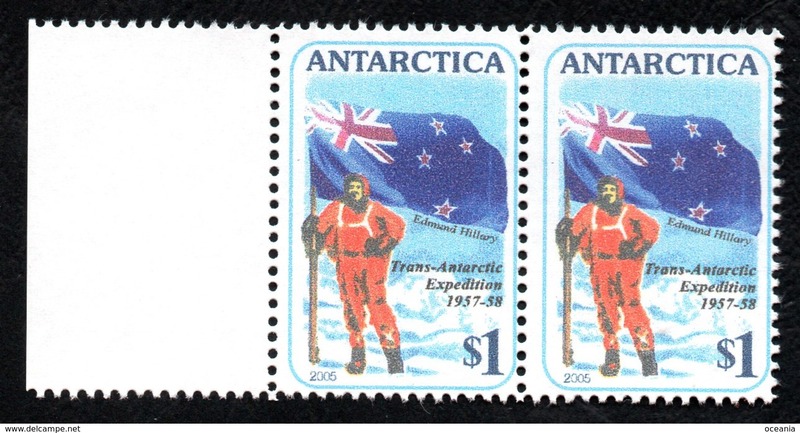 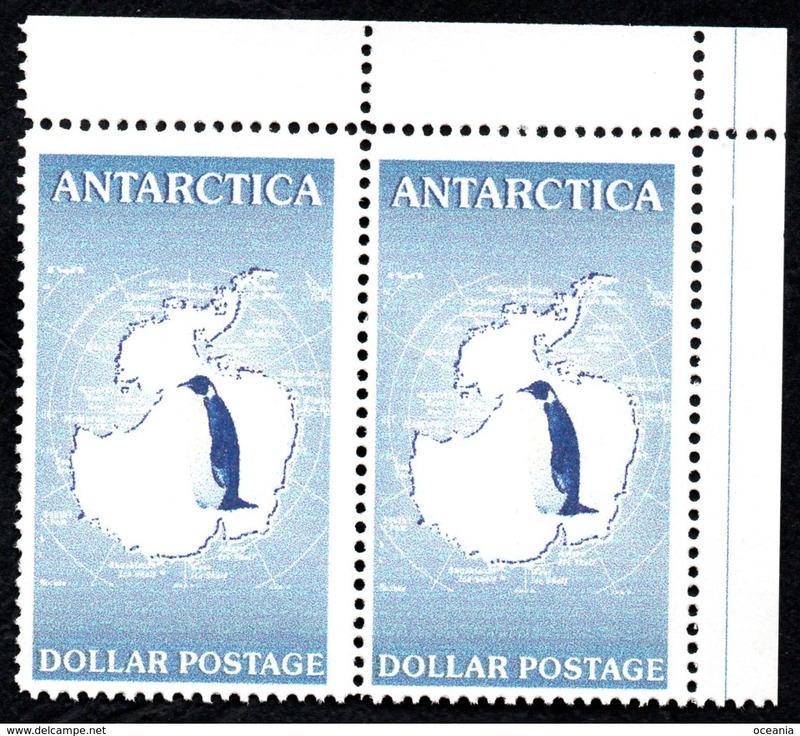 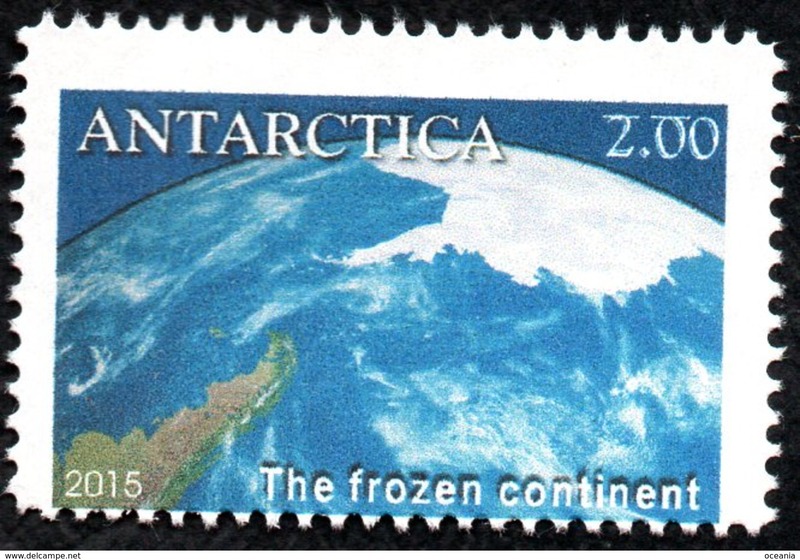 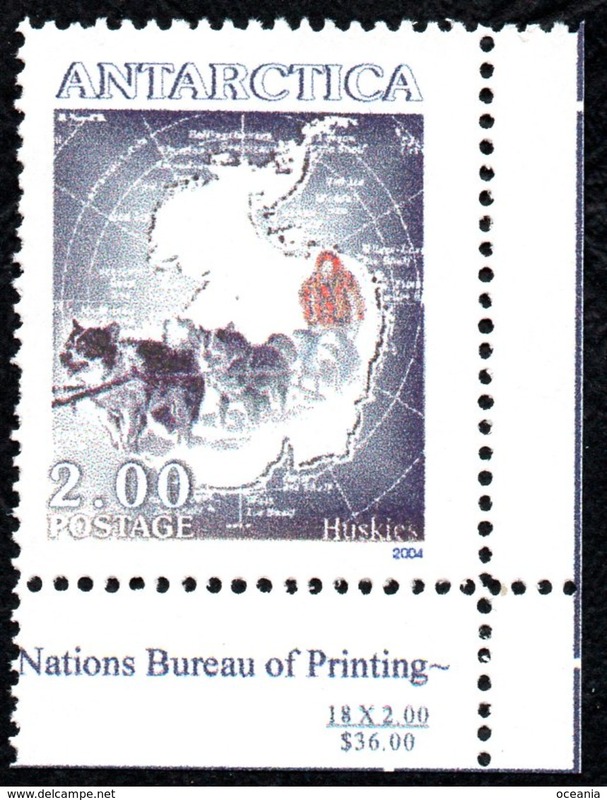 Antarctica Post verticle pair with big printing error. 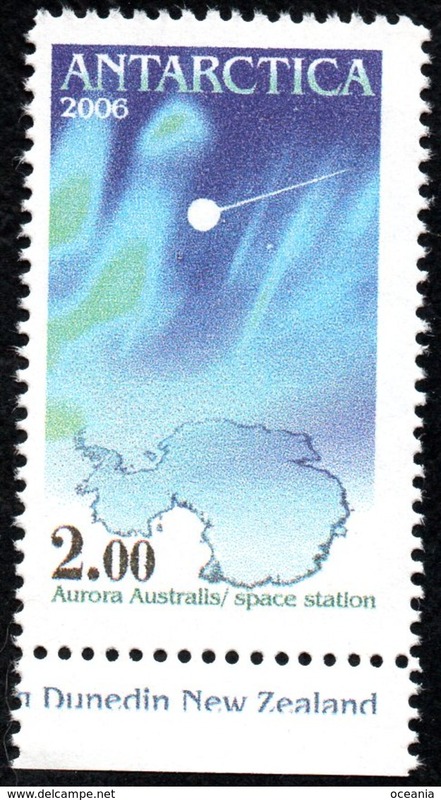 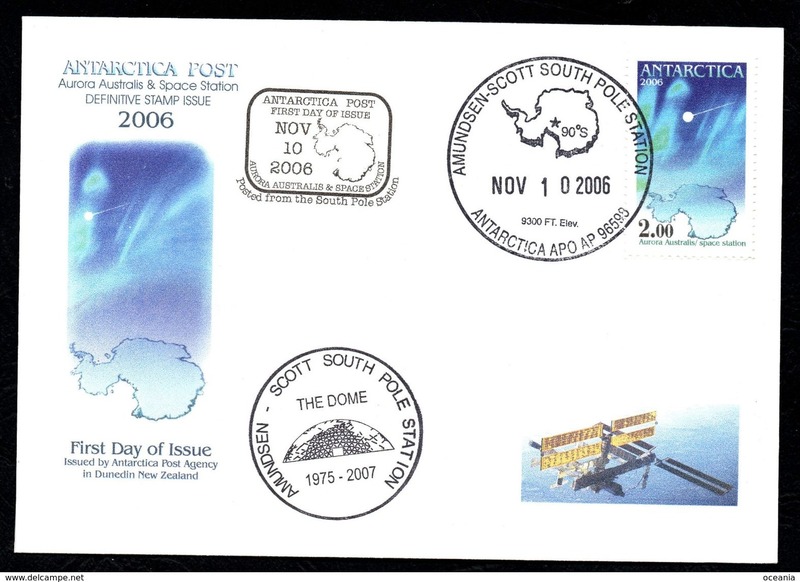 Antarctica Post 2006 FDC Aurora and Space Station. 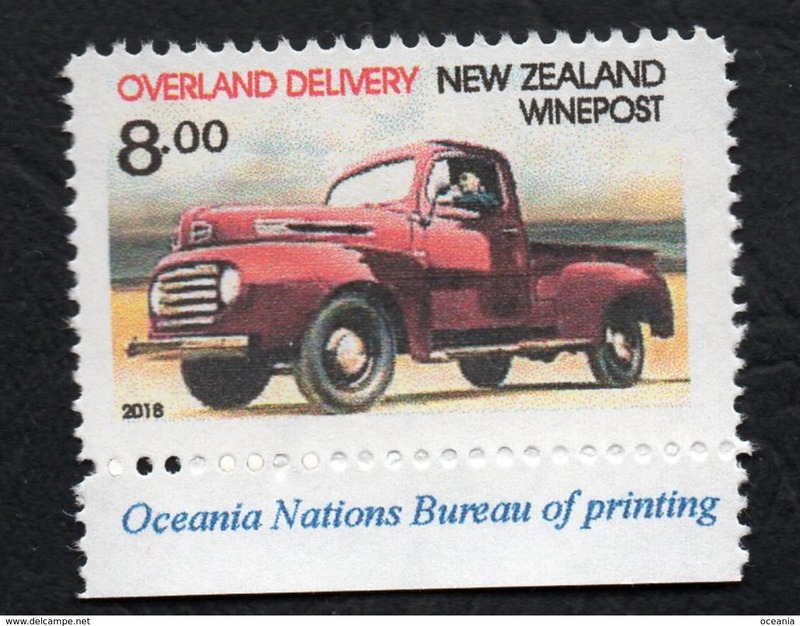 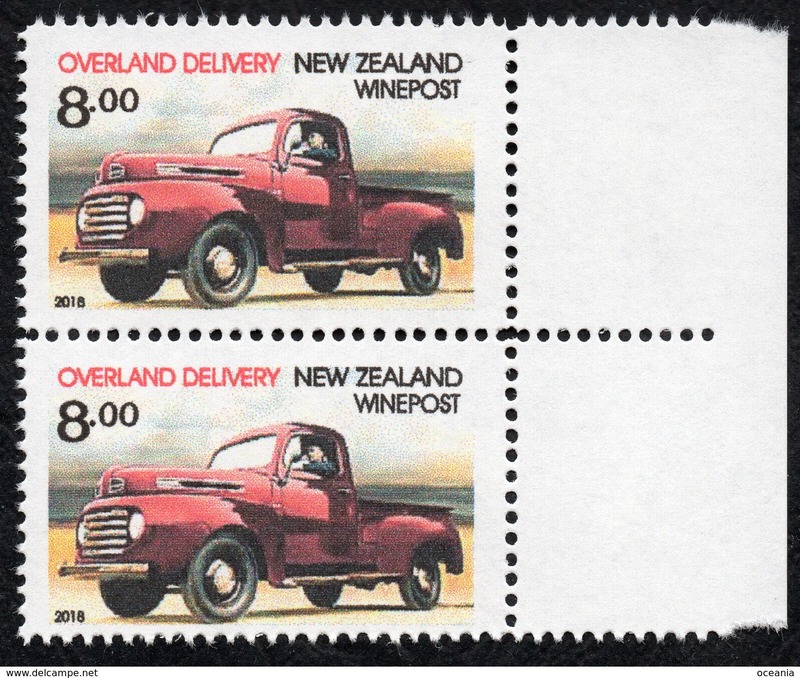 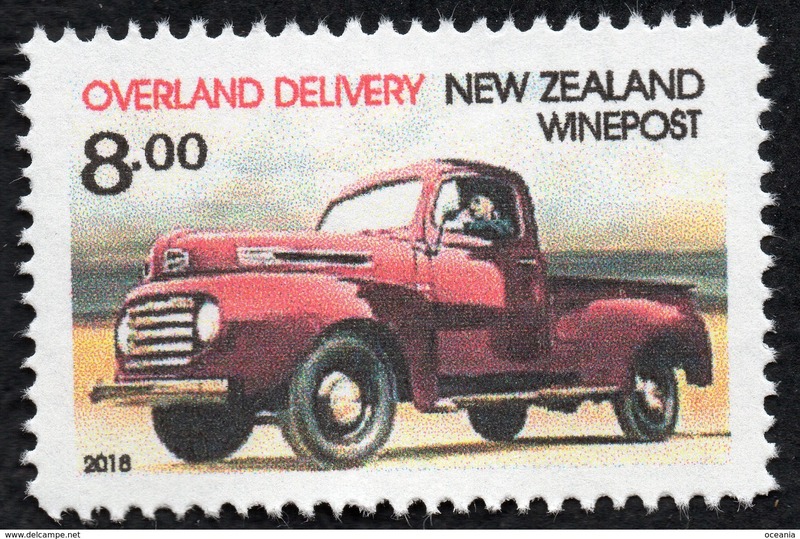 New Zealand Wine Post Overland Delivery single with perforation flaw. 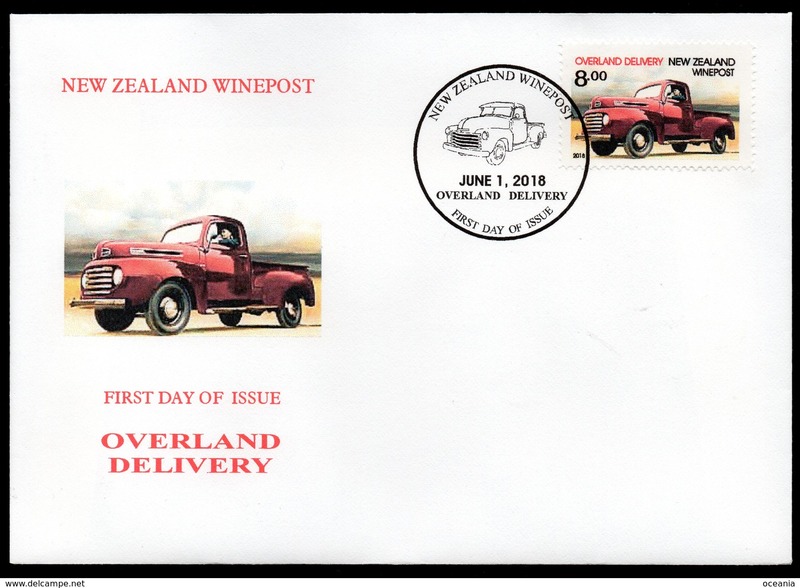 New Zealand Wine Post Overland Delievery joined pair. 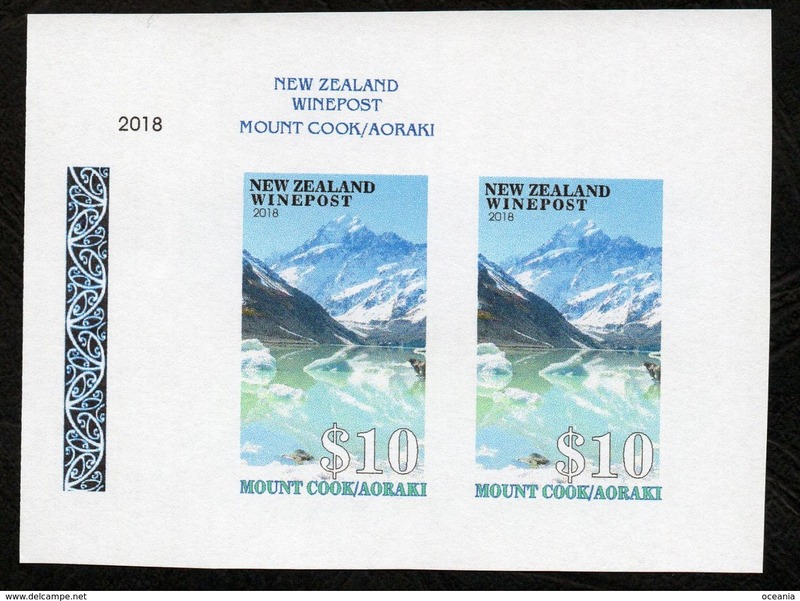 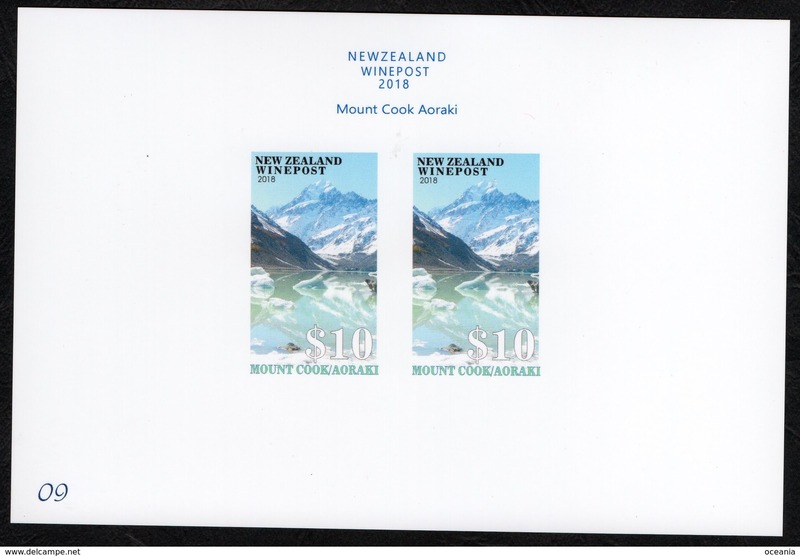 New Zealand Wine Post Mount Cook/Aoraki presentation card. 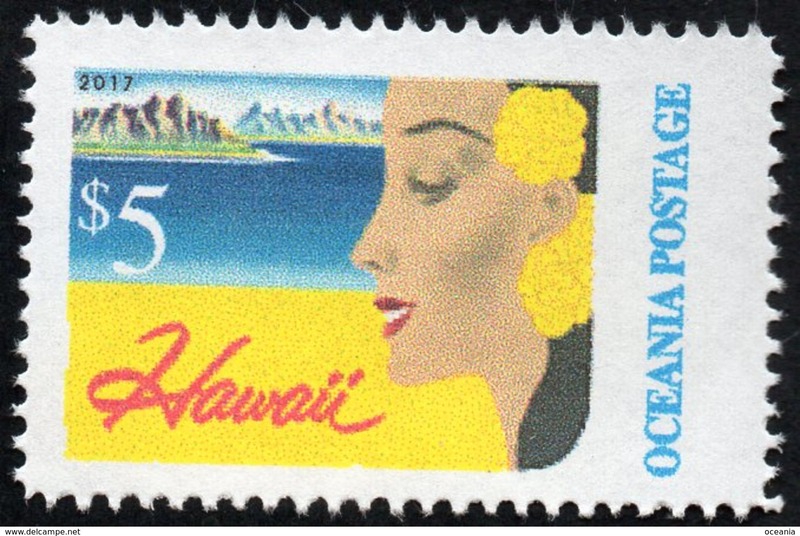 Oceania Nations Postage Hawaii single. 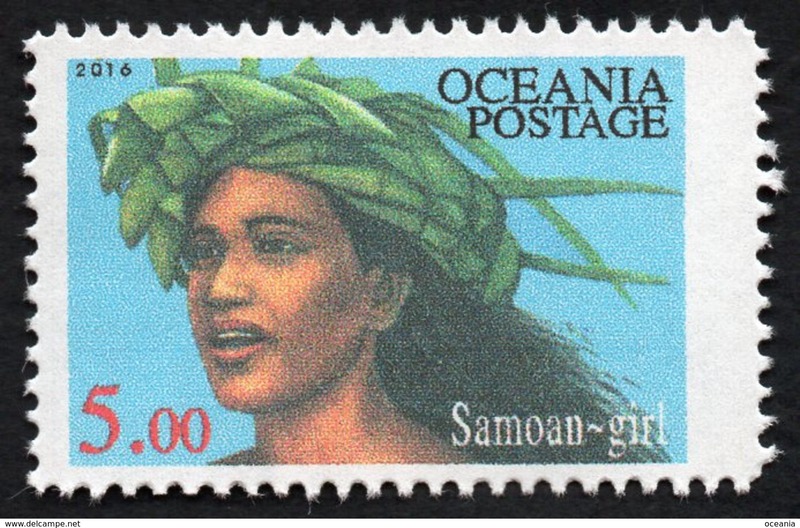 Oceania Nations Postage Samoan Girl single. 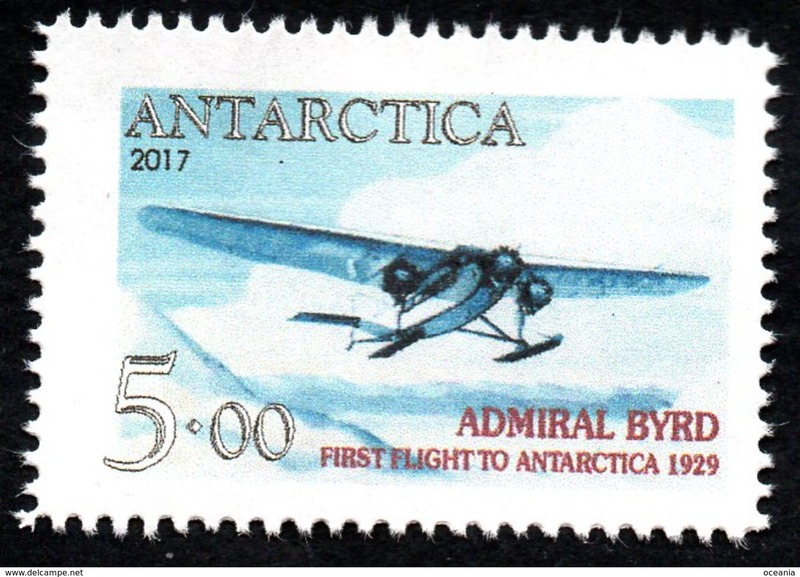 Antarctica Post first Bryd flight to the South Pole. 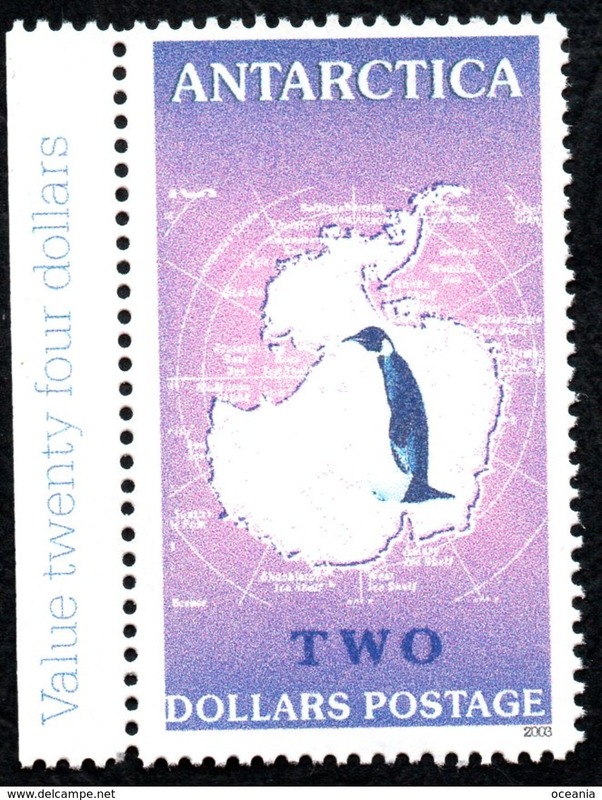 Antarctica Post nine various years. 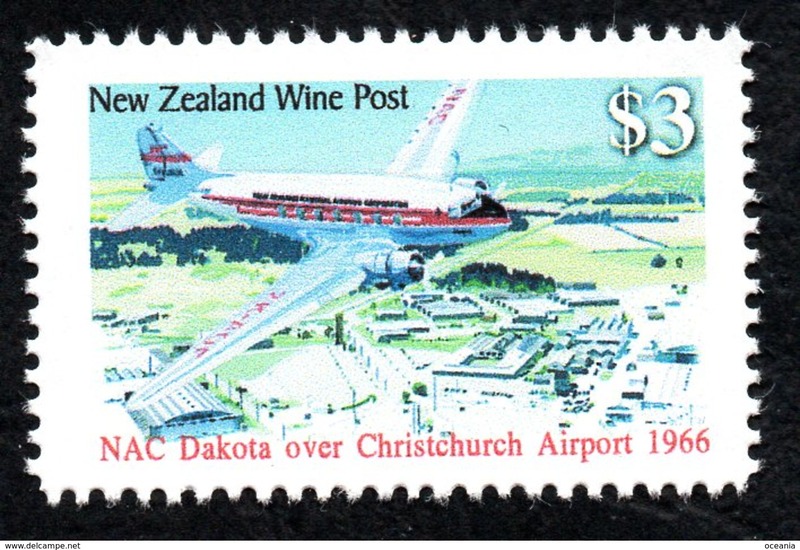 New Zealand Wine Post Dakota over Christchurch Airport. 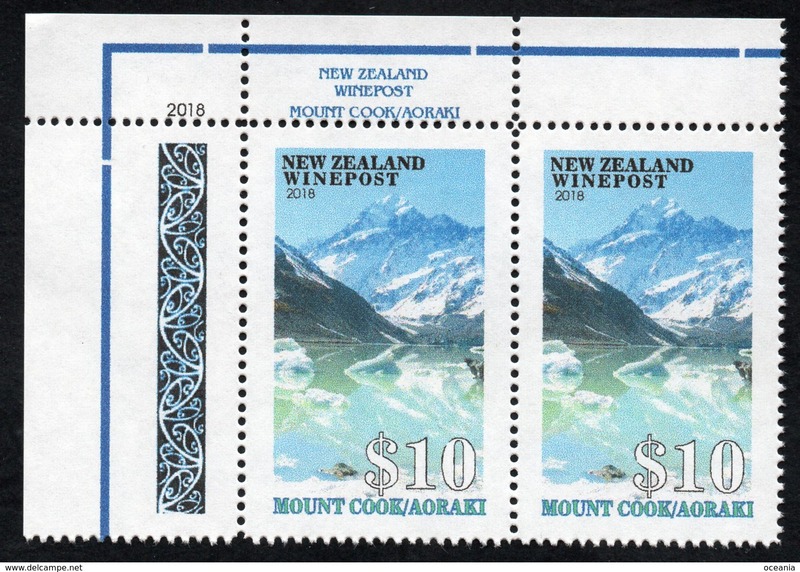 New Zealand Wine Post Mount Aspiring pair. 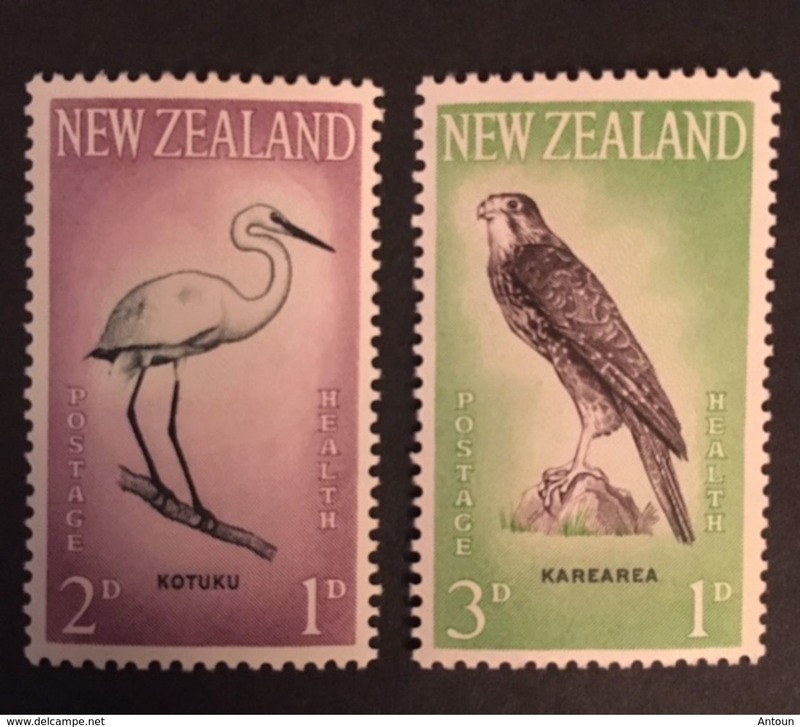 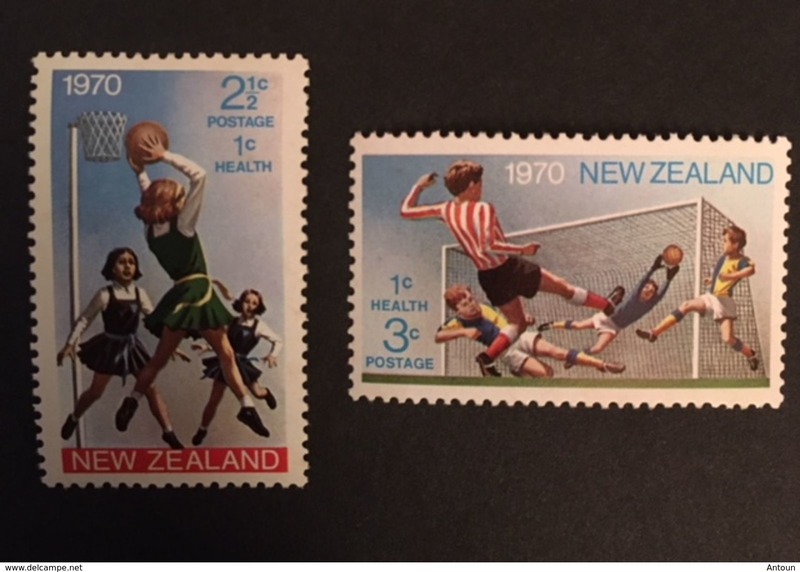 New Zealand 1961 Health .